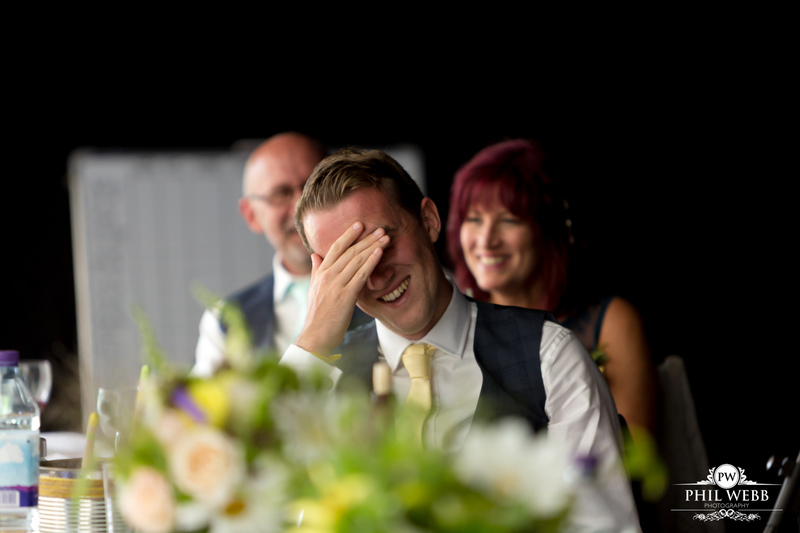 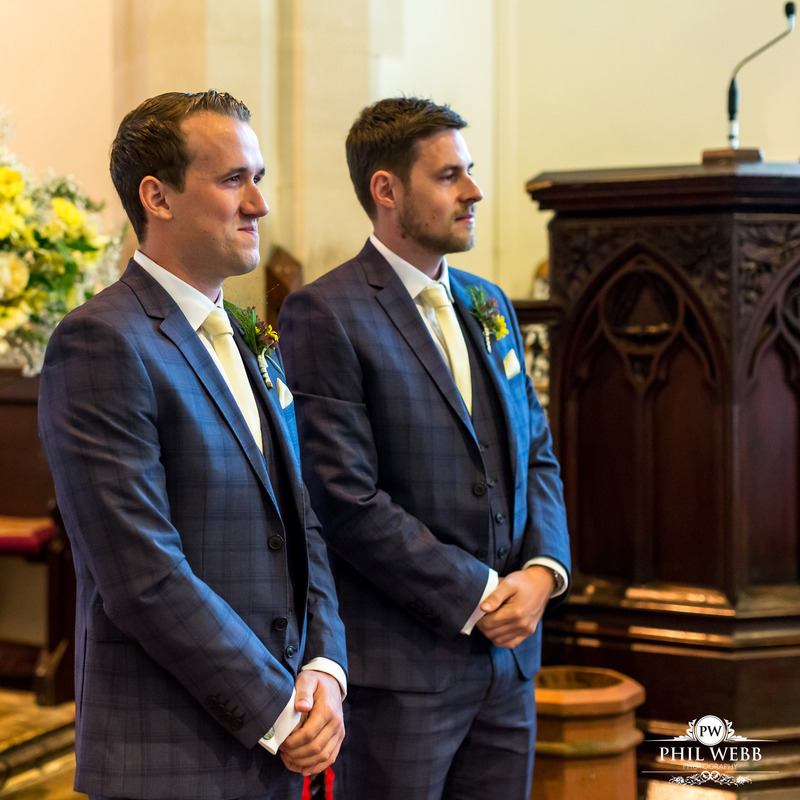 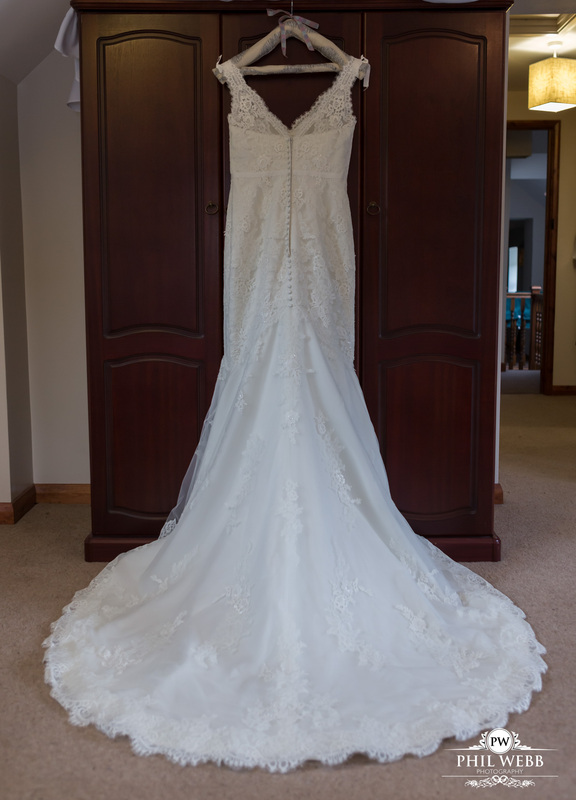 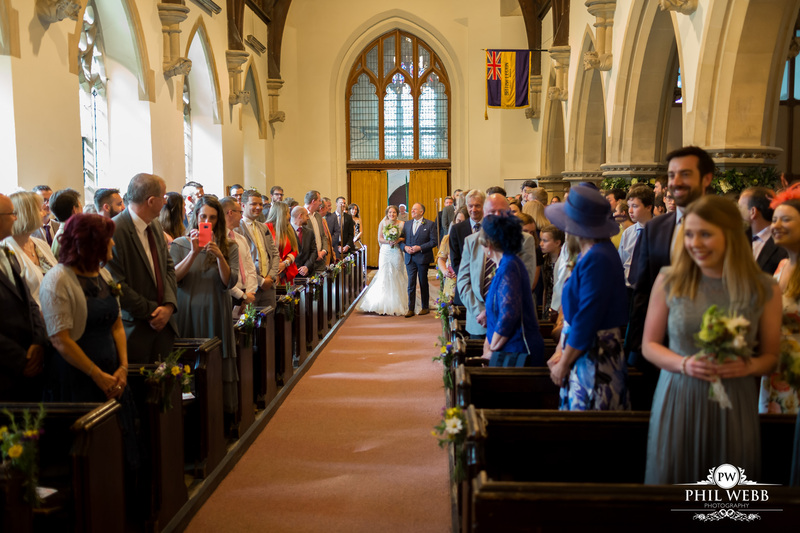 Every wedding is unique, and as a wedding photographer I will always treat it as such. 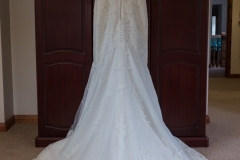 Occasionally when I meet with a couple to chat through the plans for their big day, they have ideas I have not come across before. 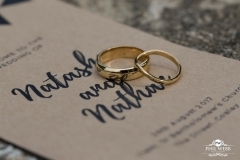 This was the case with Natasha & Nathan’s wedding. 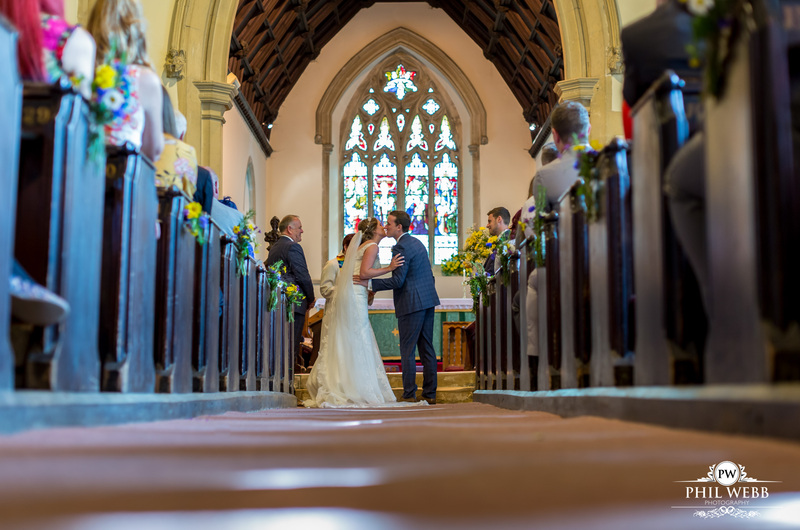 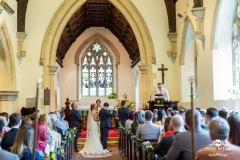 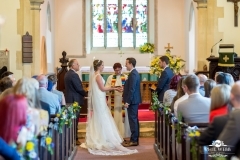 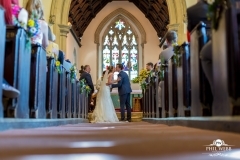 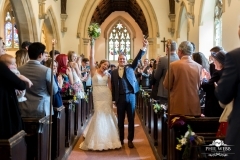 They chose to get hitched in the Church of the village that Natasha grew up in. So far, so traditional. 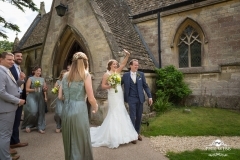 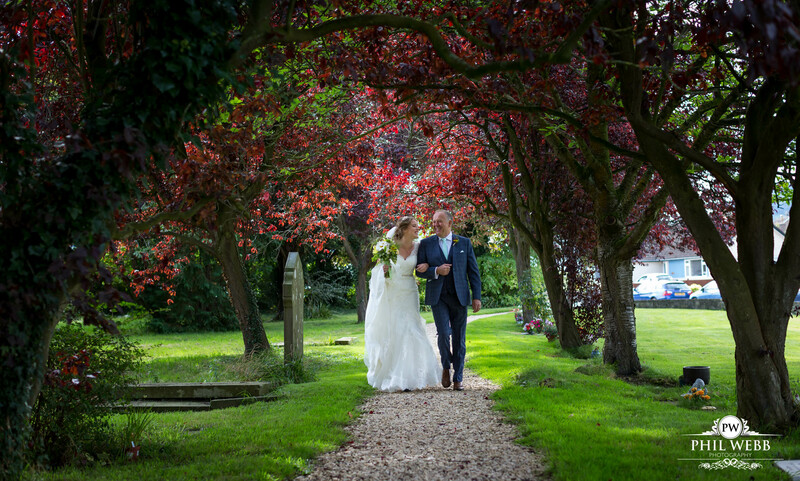 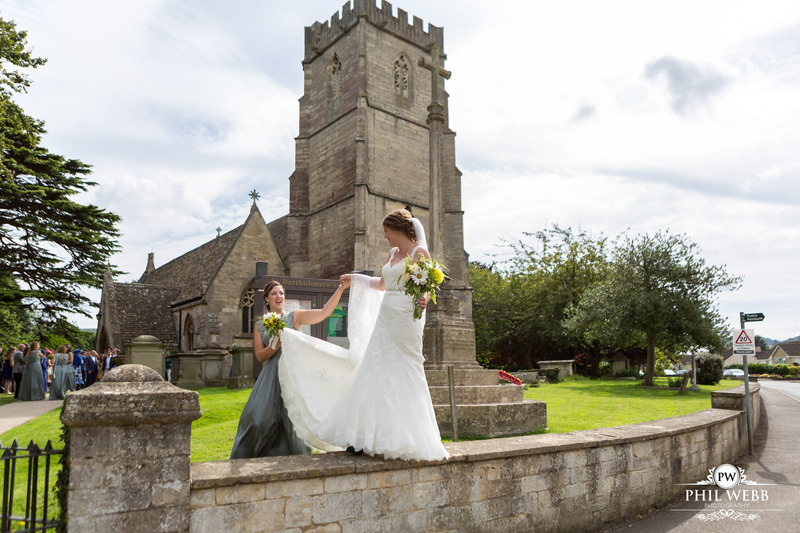 Natasha even made sure she walked along the little church wall with her maid of honour on her wedding day. 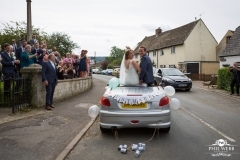 Natasha had previously done this every on her way to school. 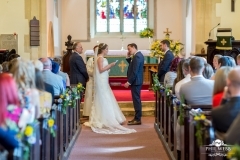 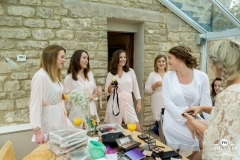 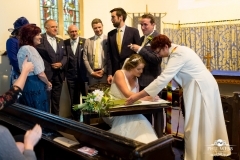 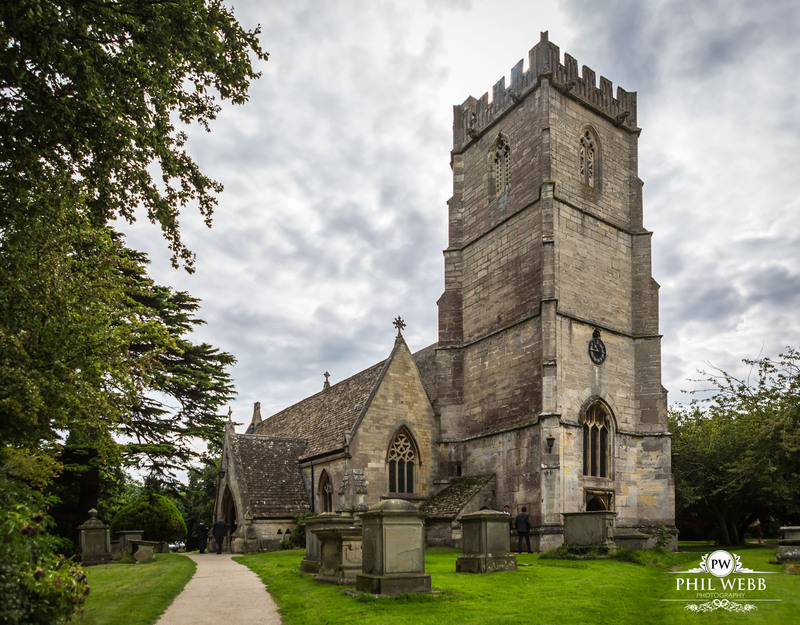 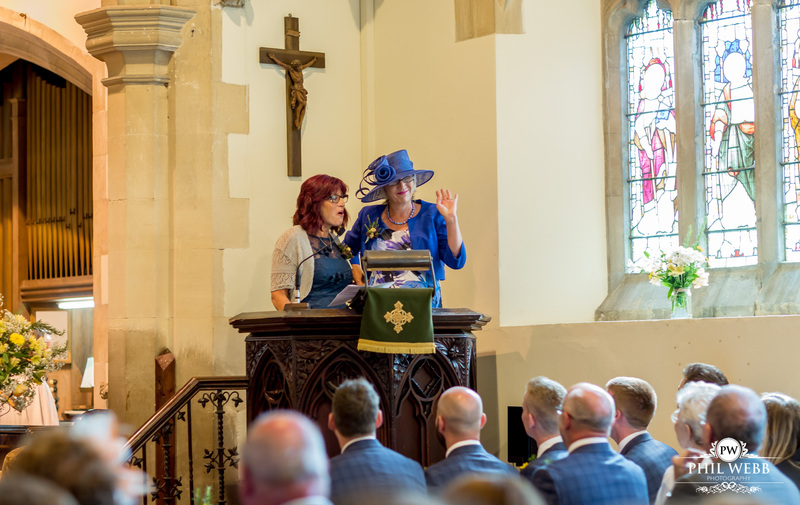 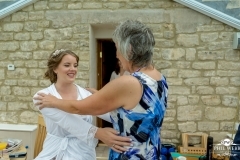 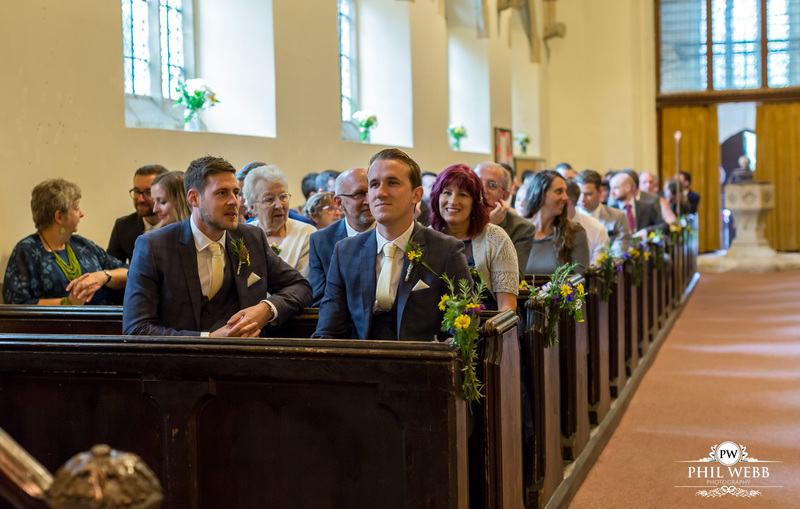 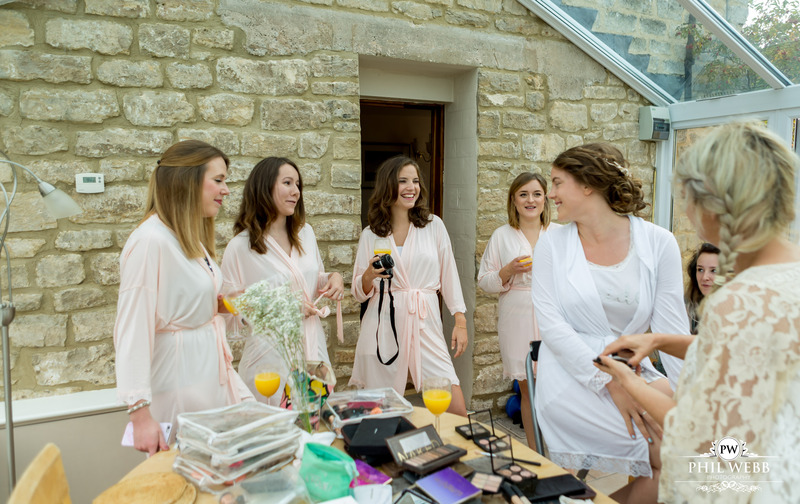 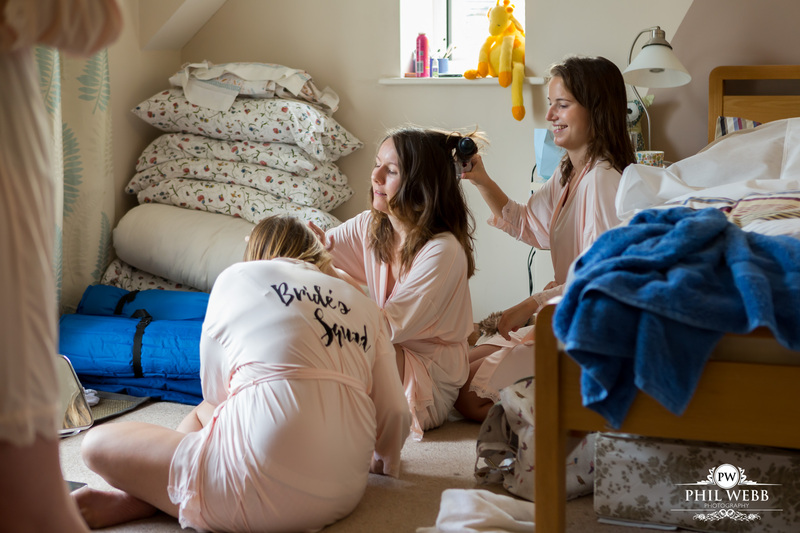 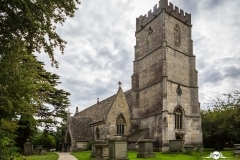 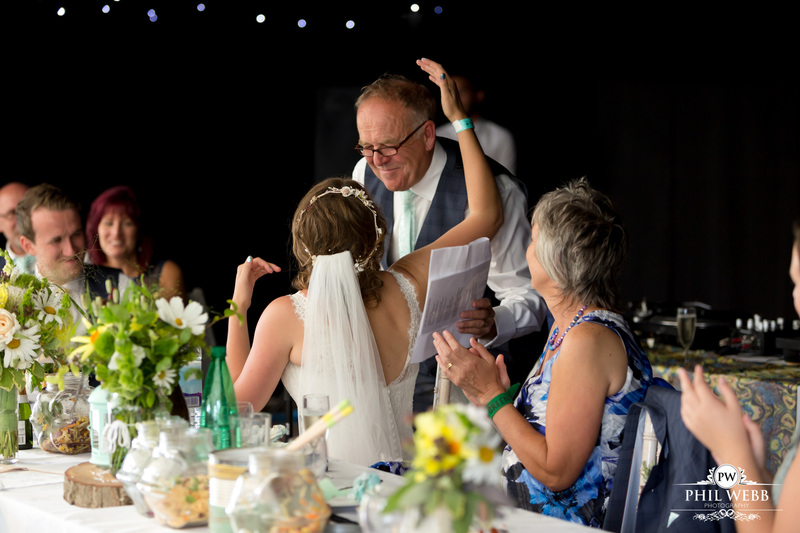 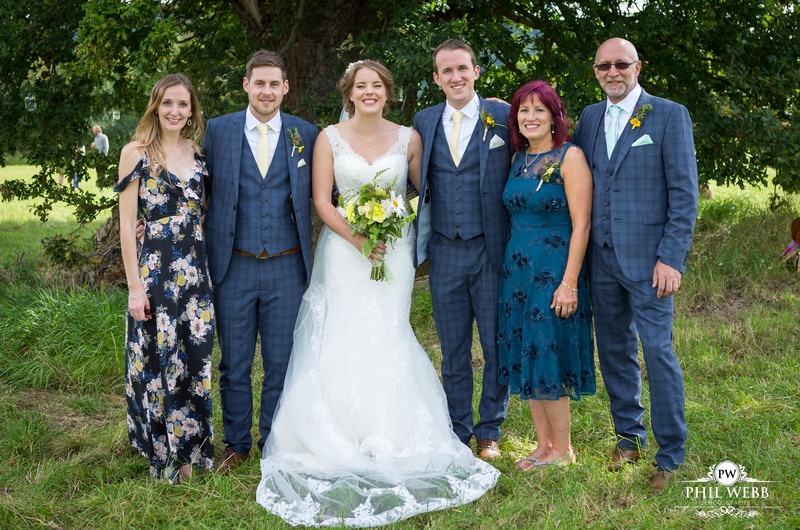 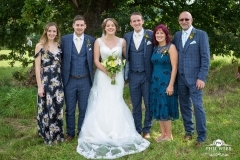 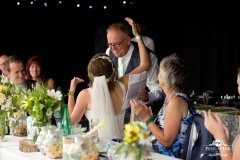 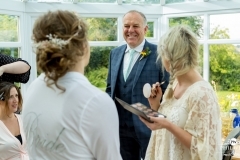 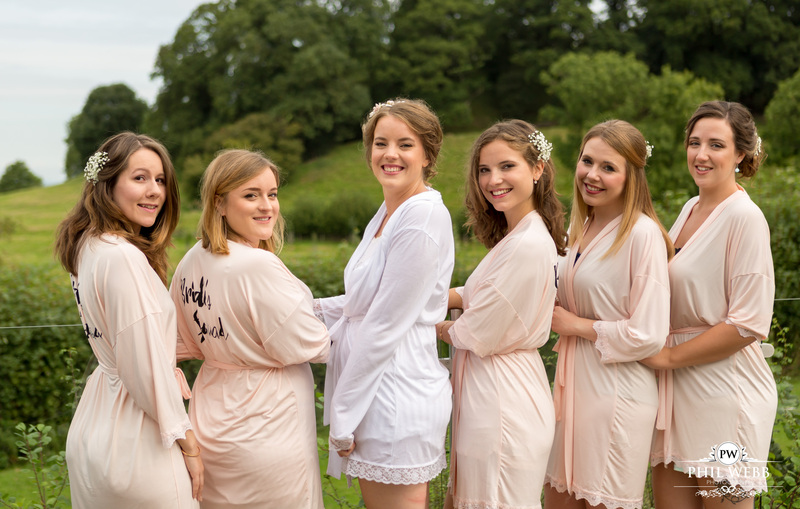 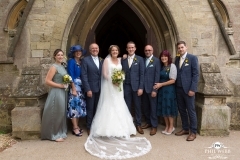 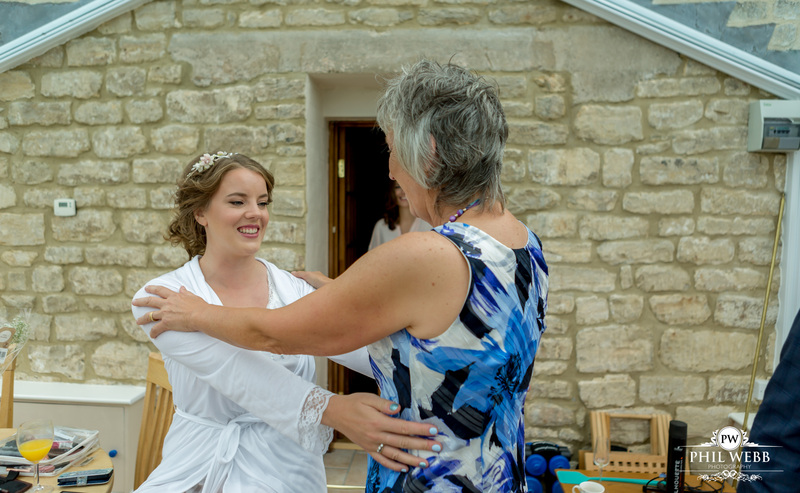 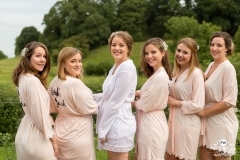 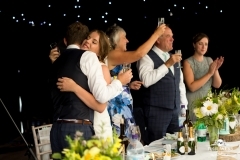 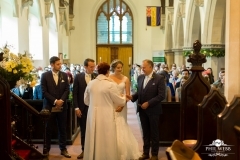 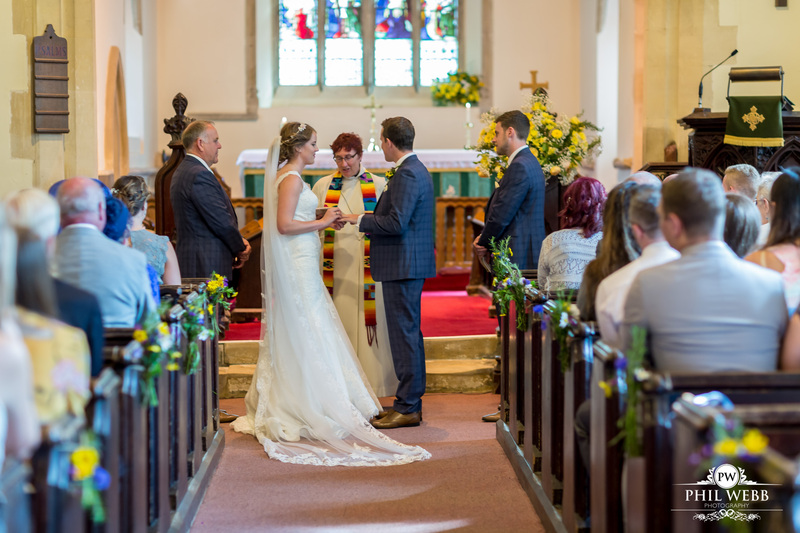 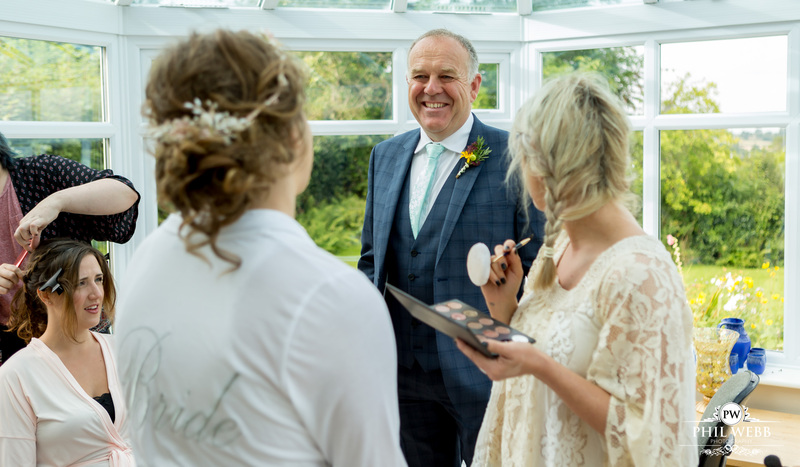 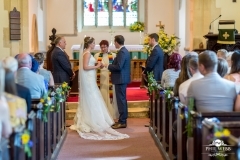 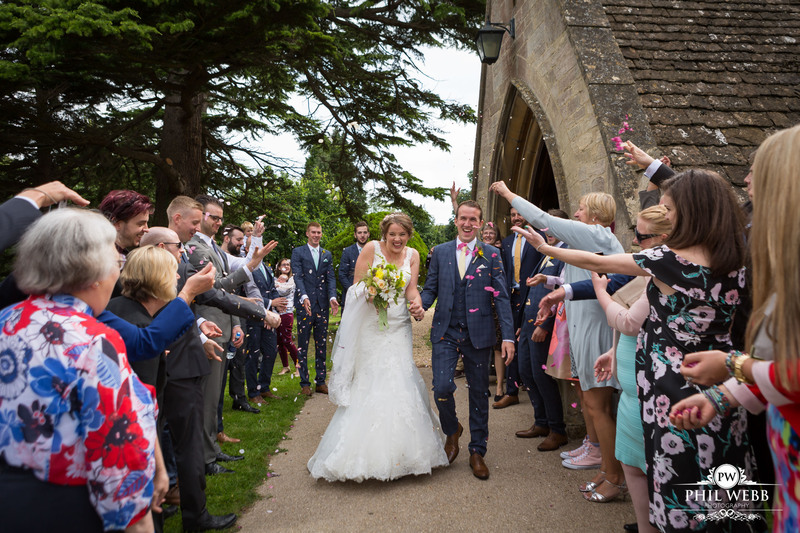 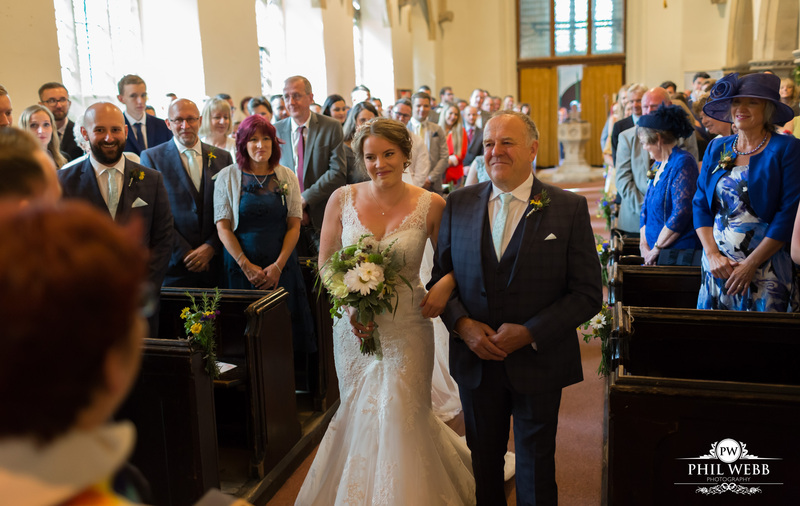 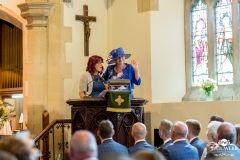 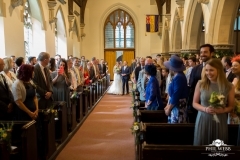 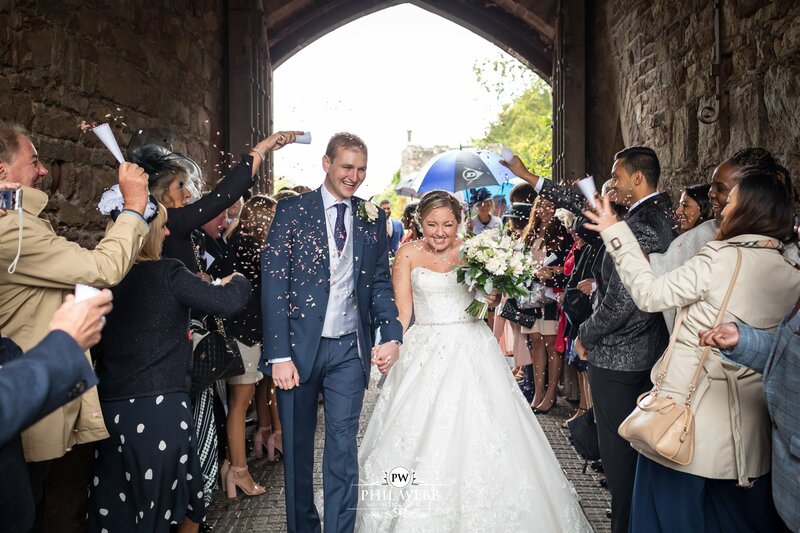 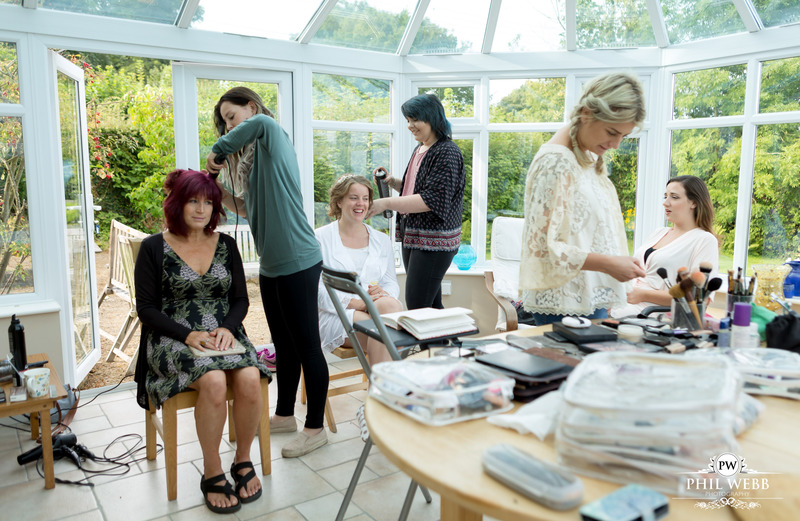 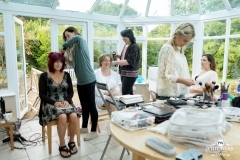 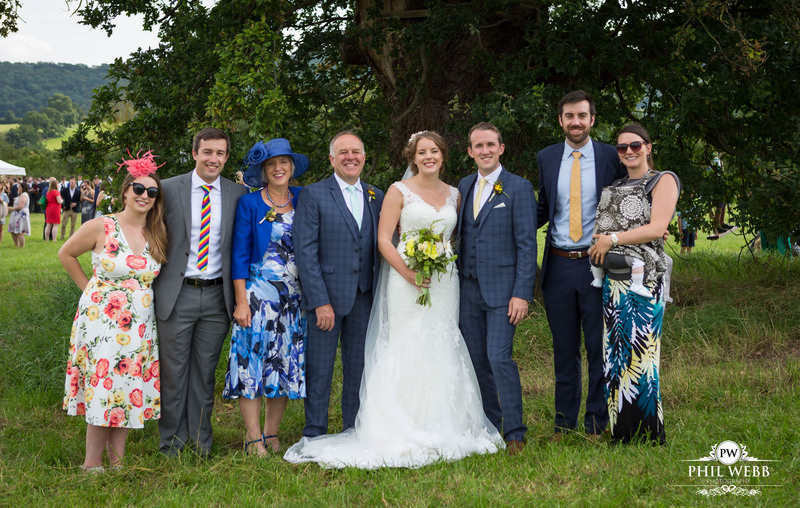 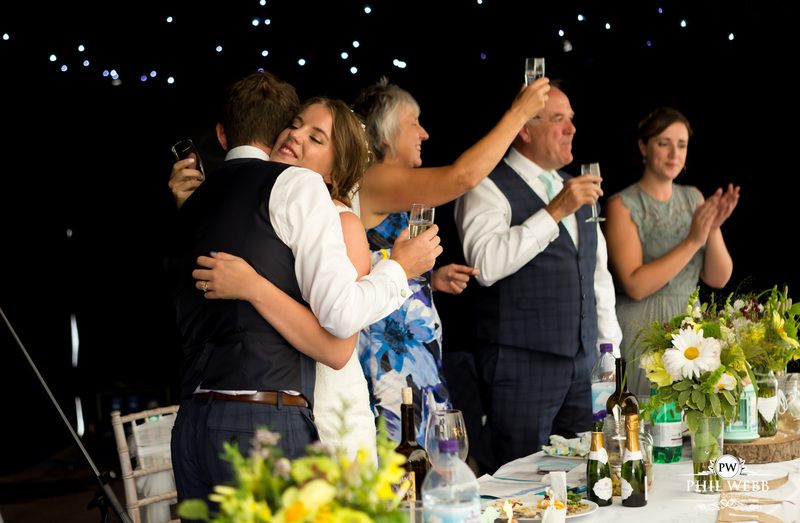 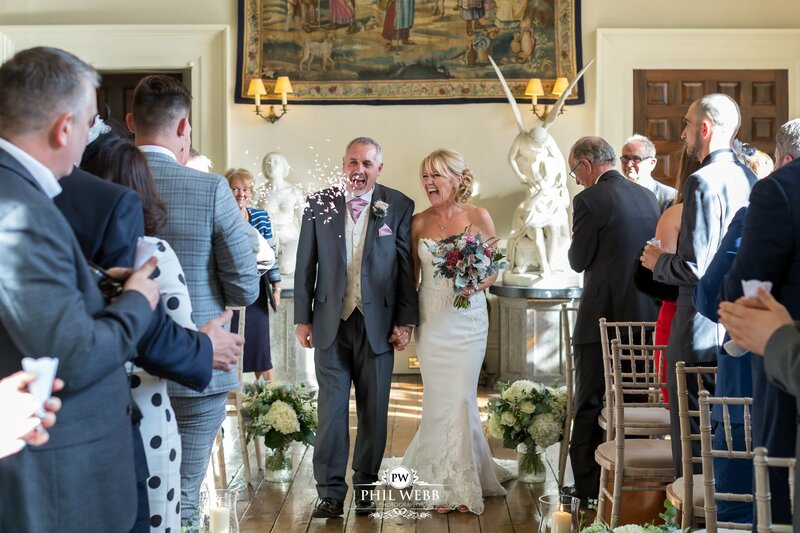 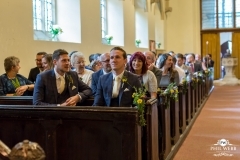 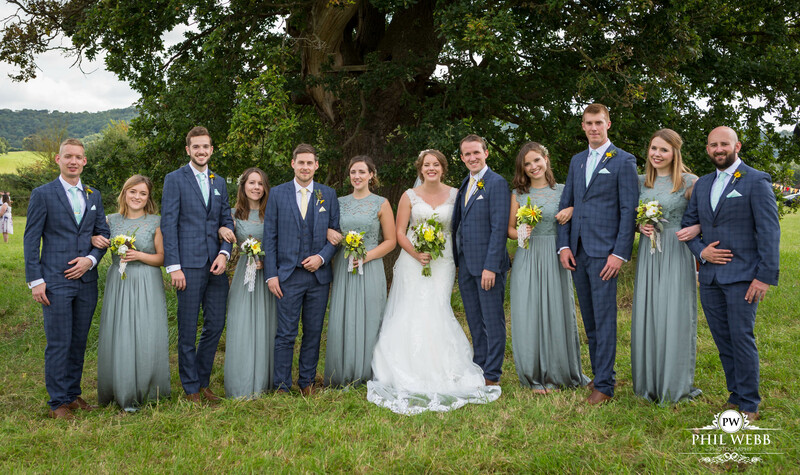 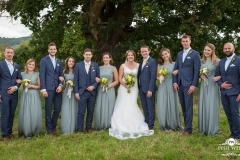 Natasha’s parents house was a hive of activity in the morning with Bridesmaids, family members, Mum and Dad all getting ready for what was being called “the wedding of the year” in the Cotswold village of Coaley. 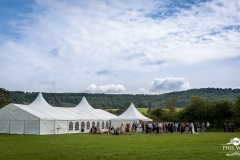 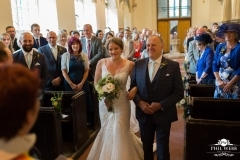 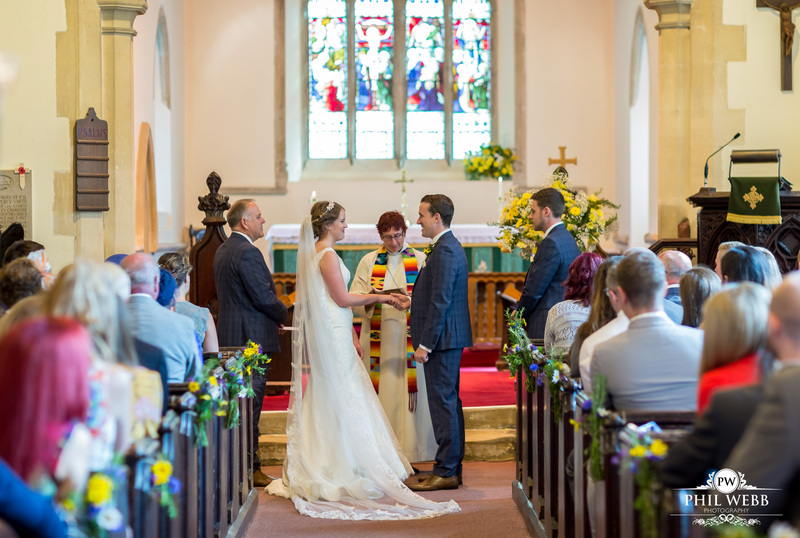 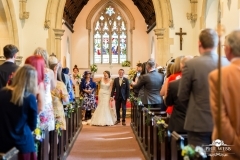 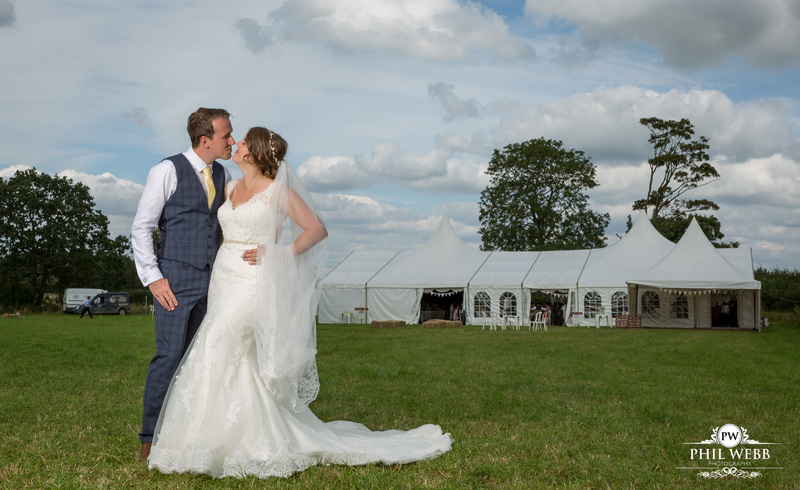 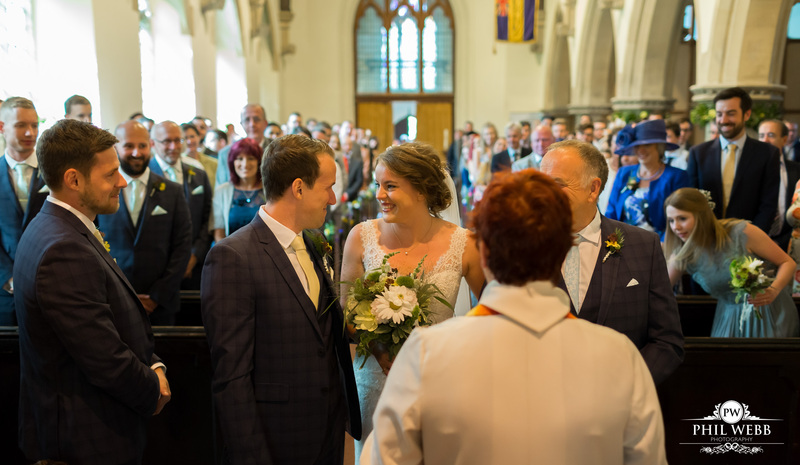 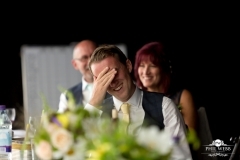 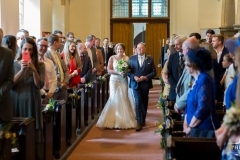 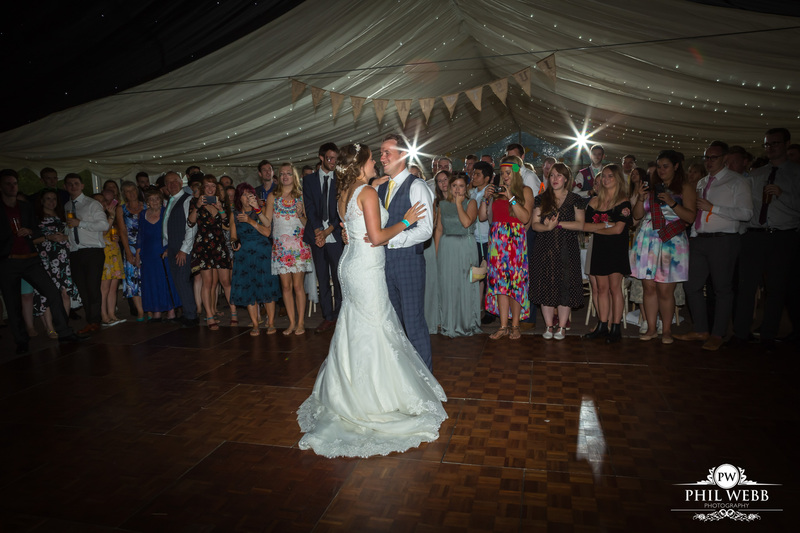 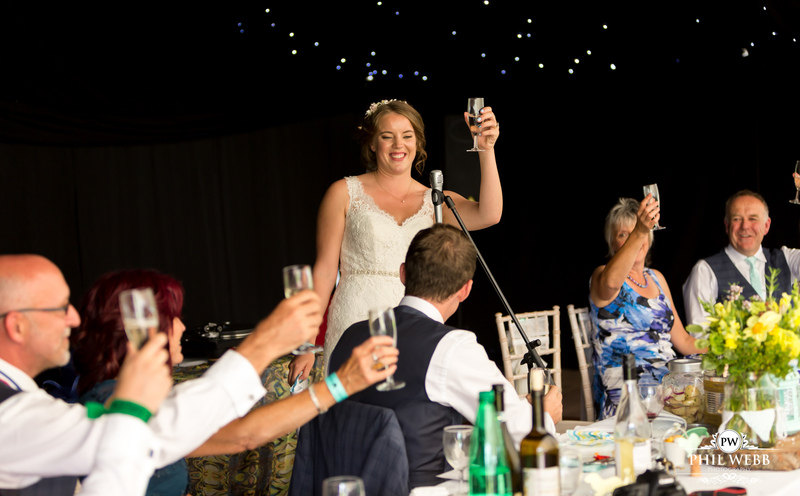 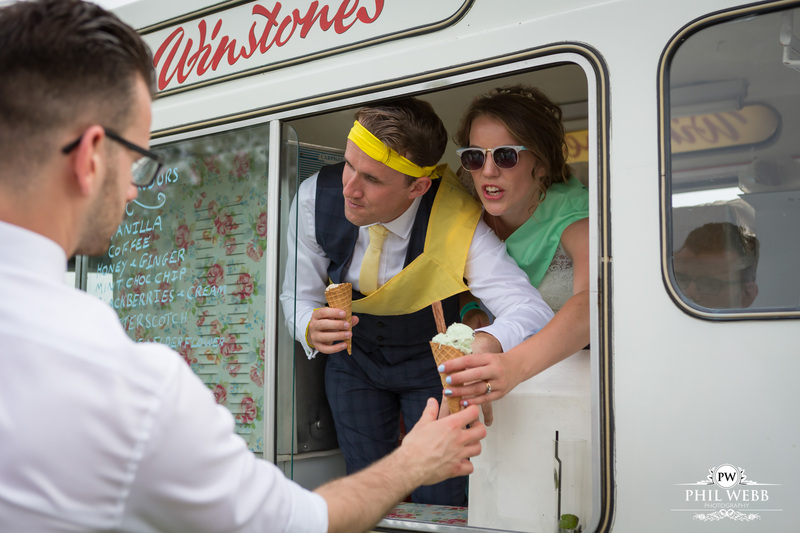 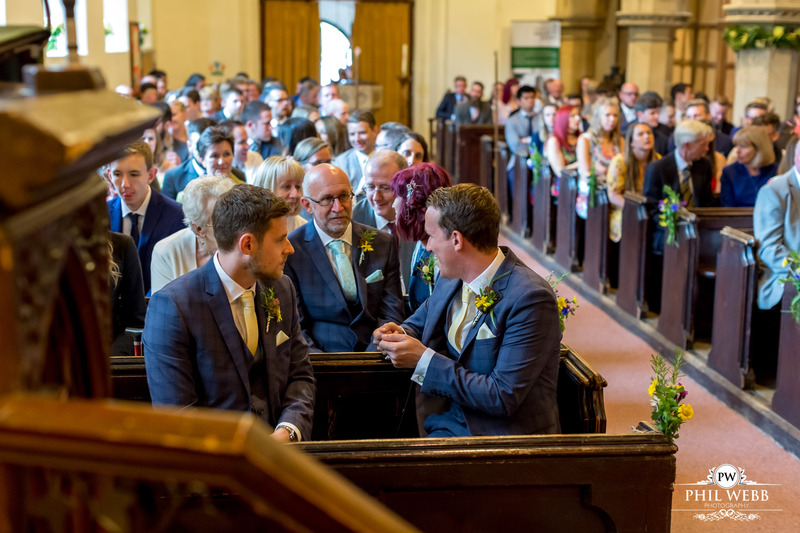 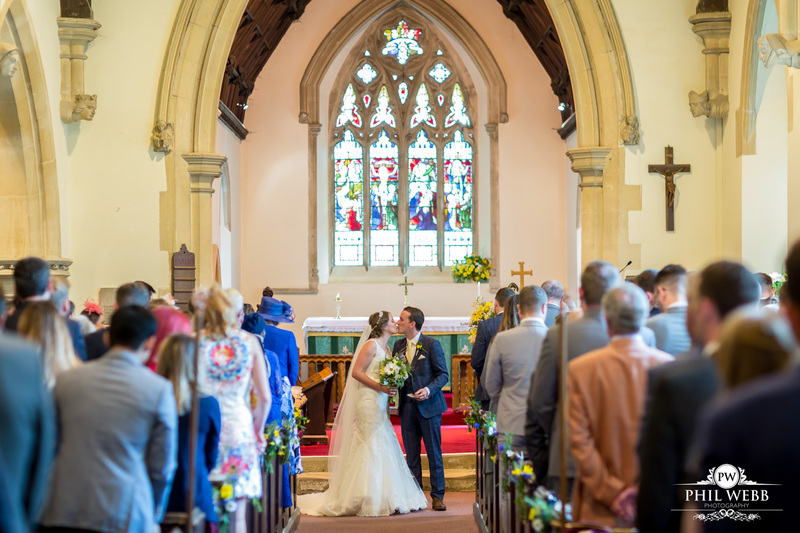 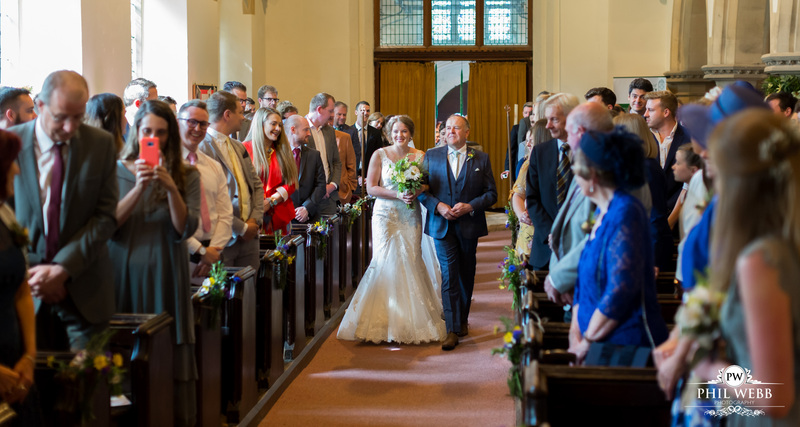 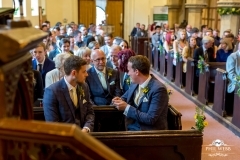 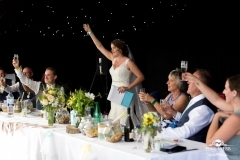 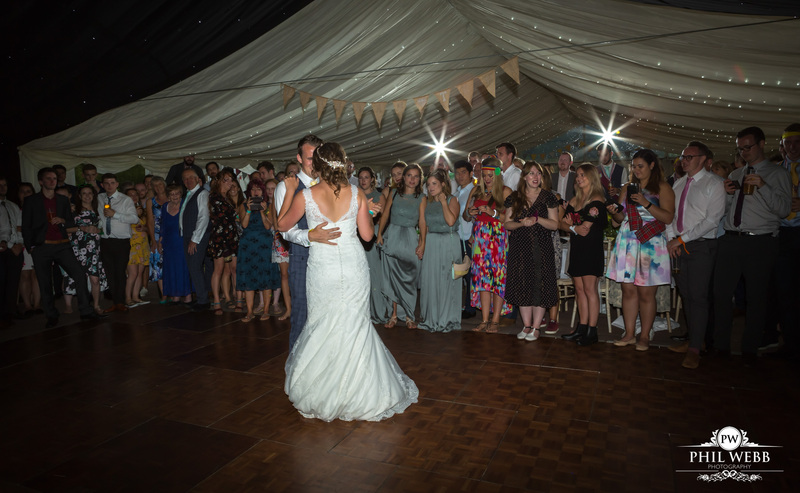 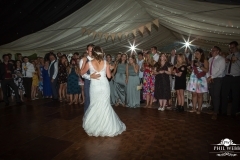 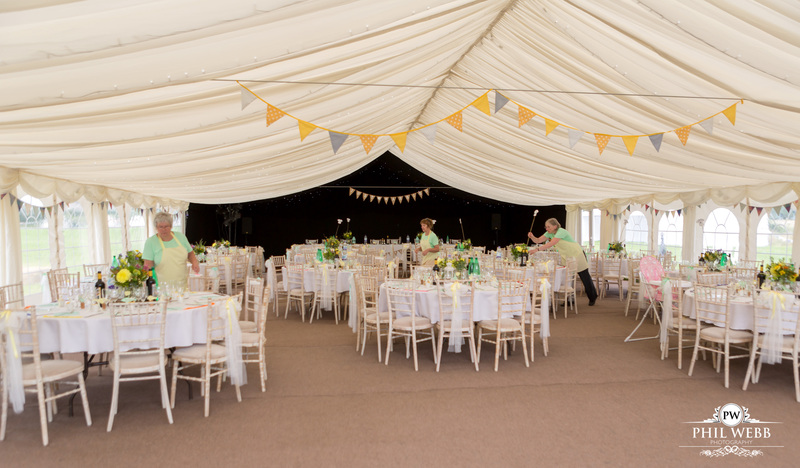 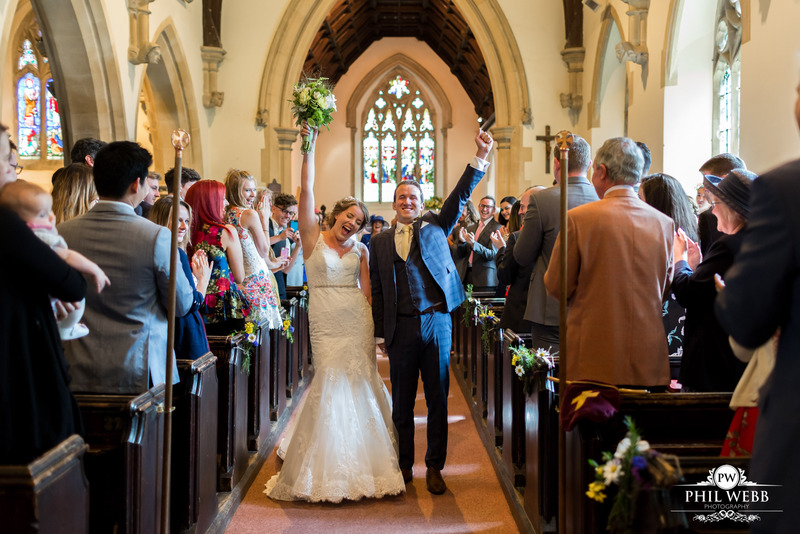 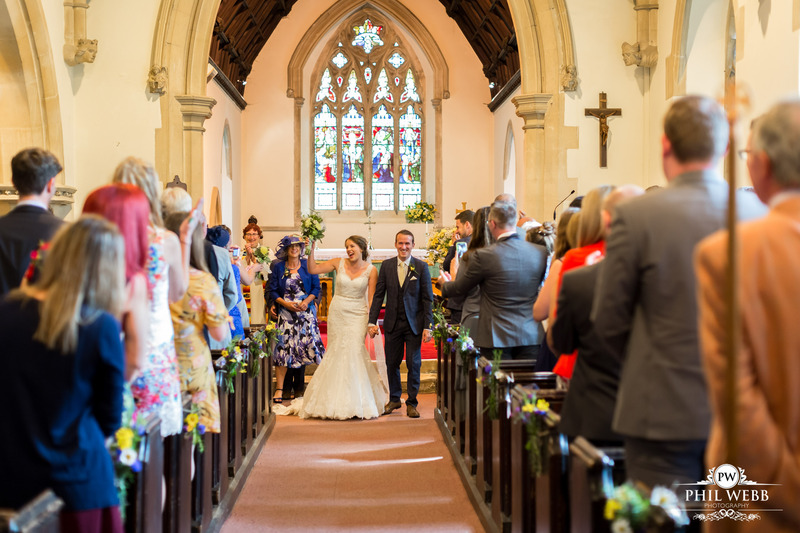 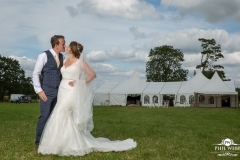 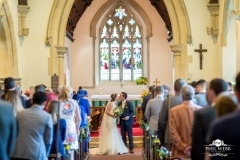 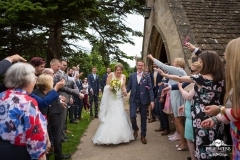 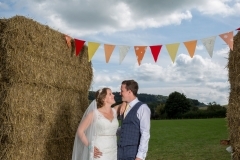 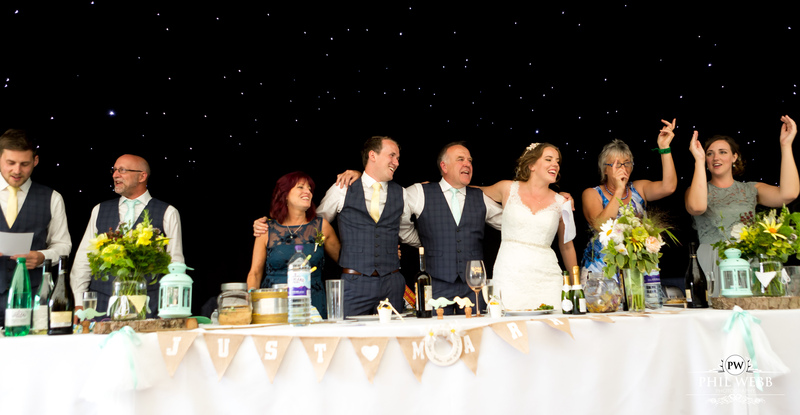 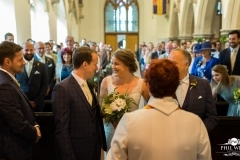 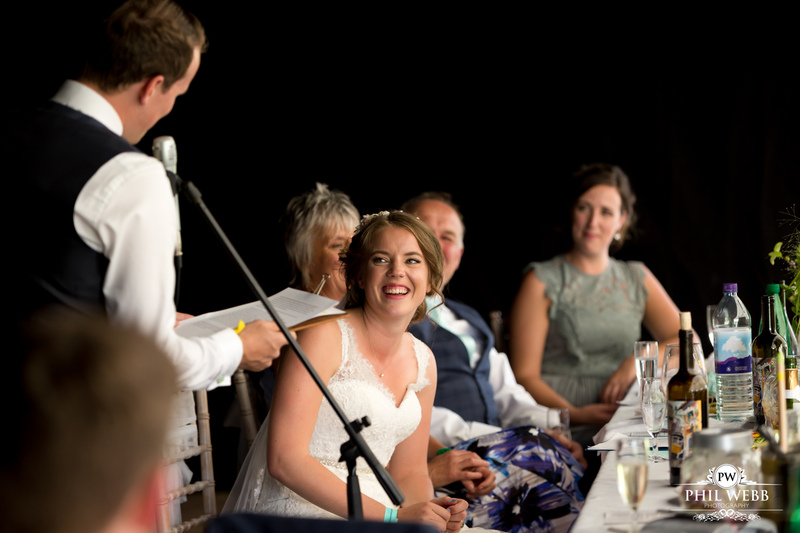 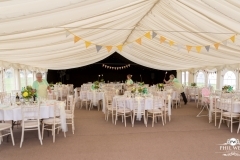 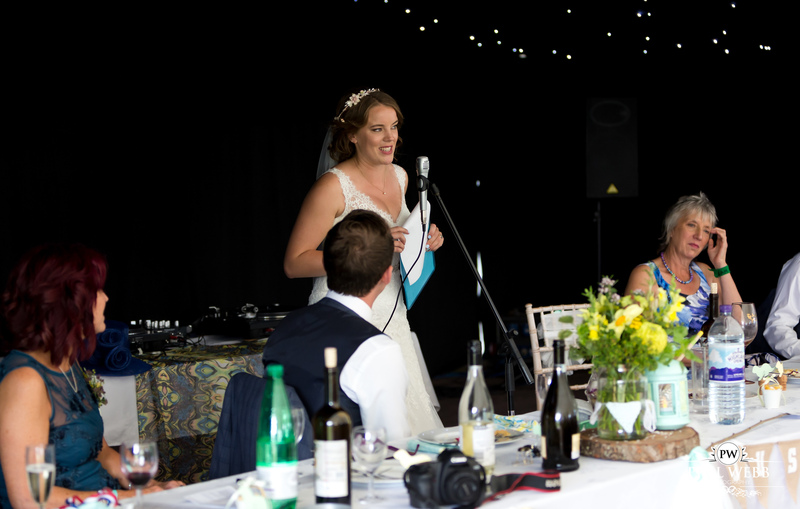 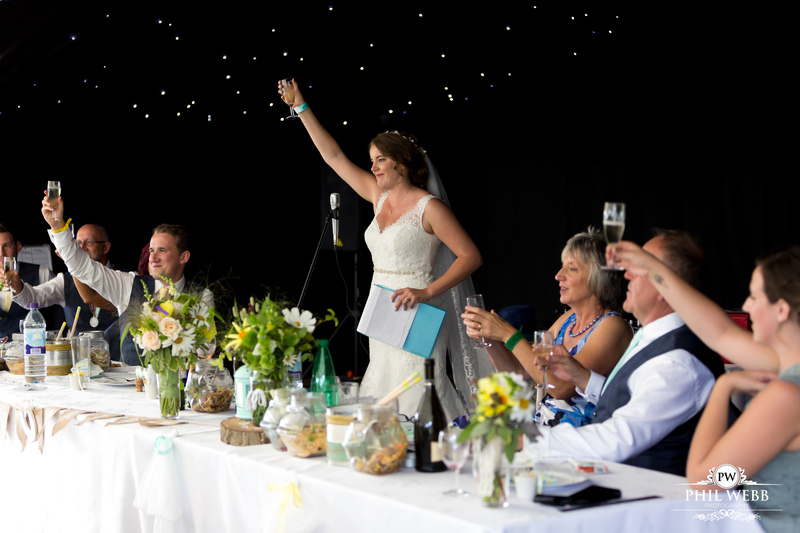 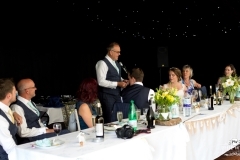 After the ceremony, the wedding party took a short trip up the road to where the marquee was situated. 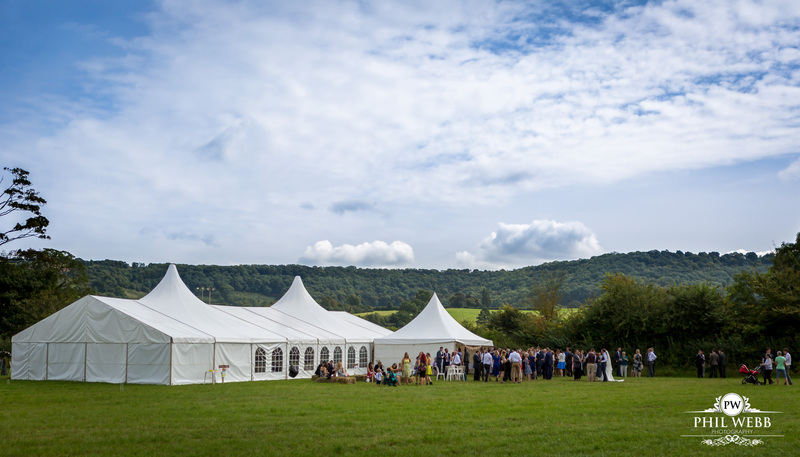 Around the perimeter of the the field individual yurts had been erected for the guests to stay the night. 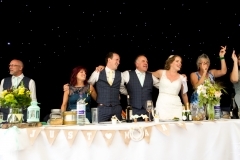 Again nothing too different! 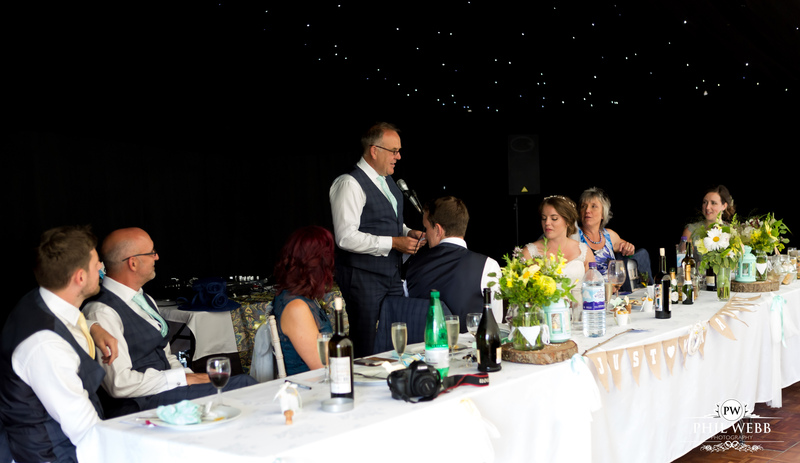 Following the wedding breakfast and the speeches, which were nailed by all the speakers, (including Natasha). 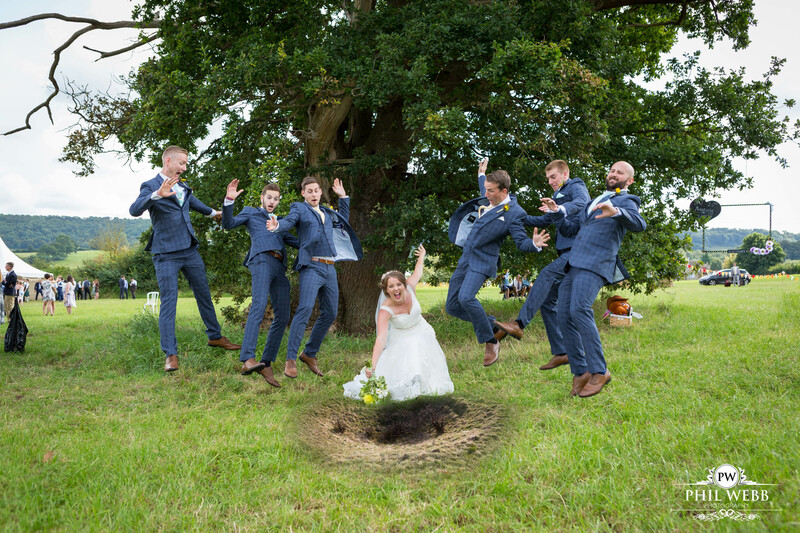 Then the games were to begin. 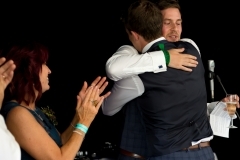 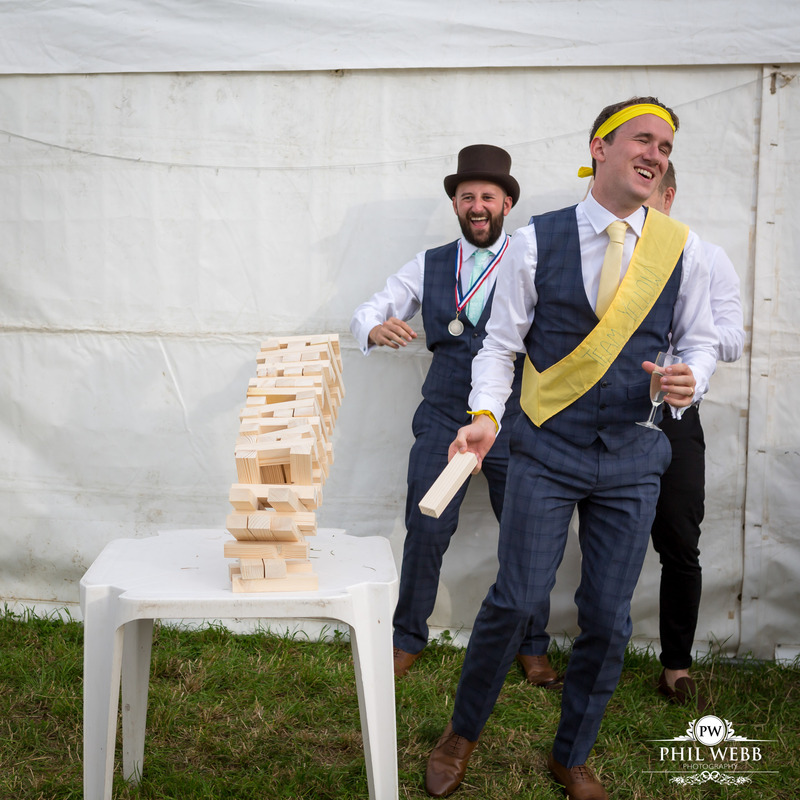 To say that the family members and guests were competitive would be a mild understatement. 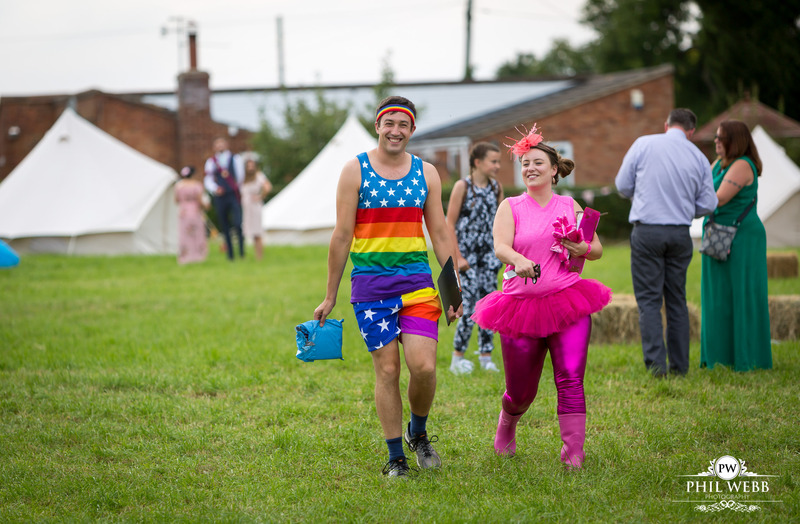 Team leaders were prepared for the competitions and donned a spectacular variety of costumes to demonstrate which colour team was theirs. 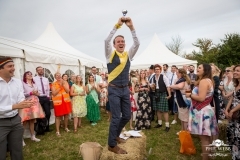 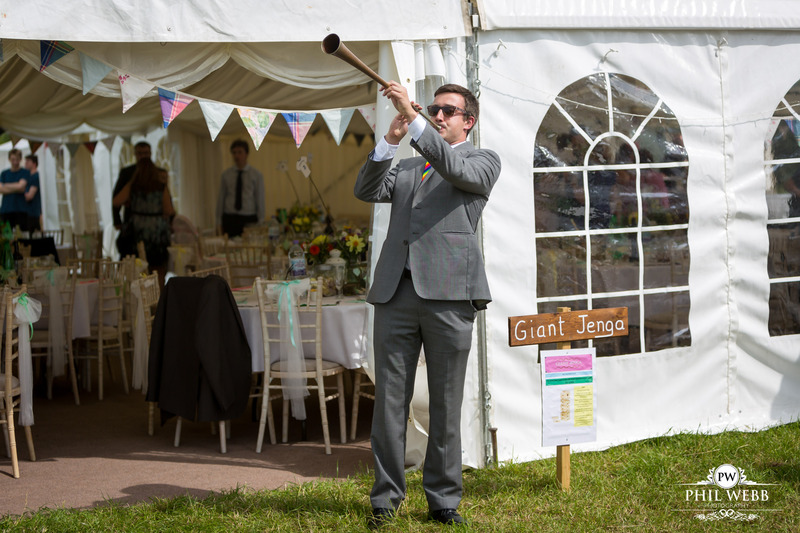 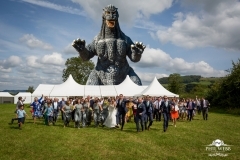 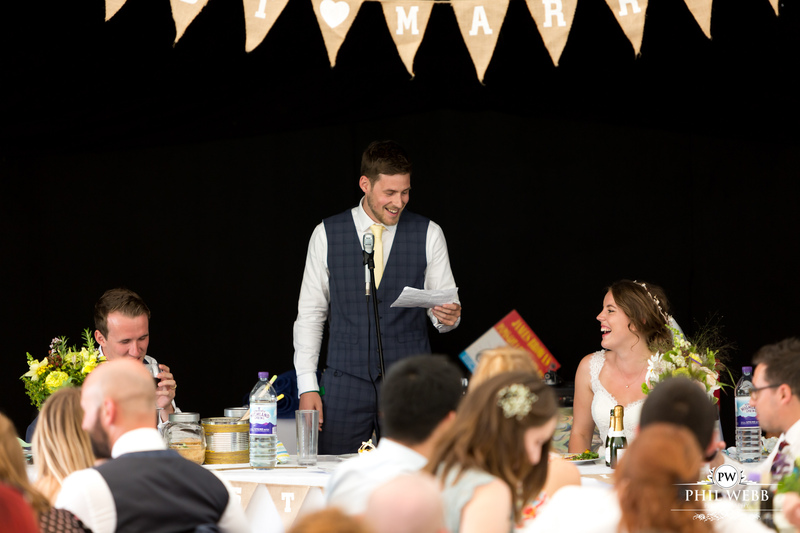 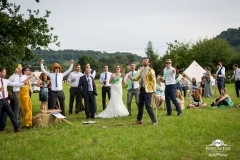 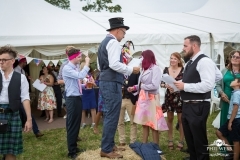 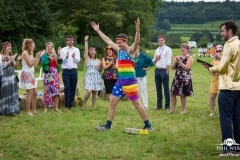 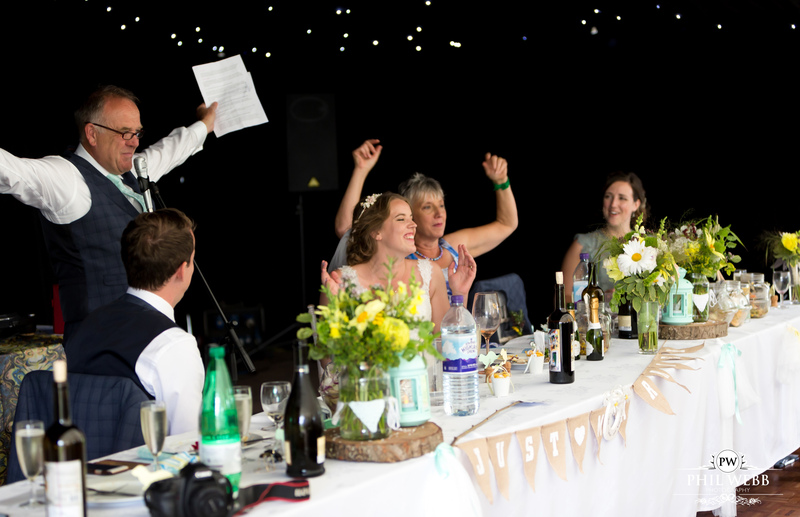 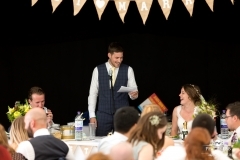 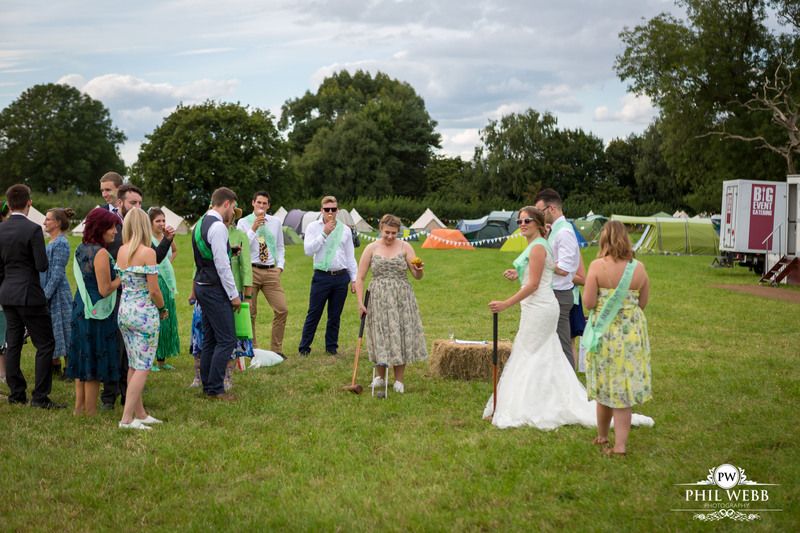 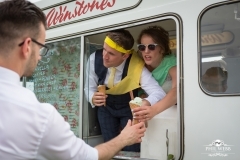 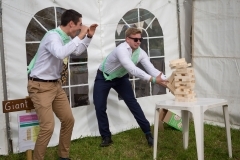 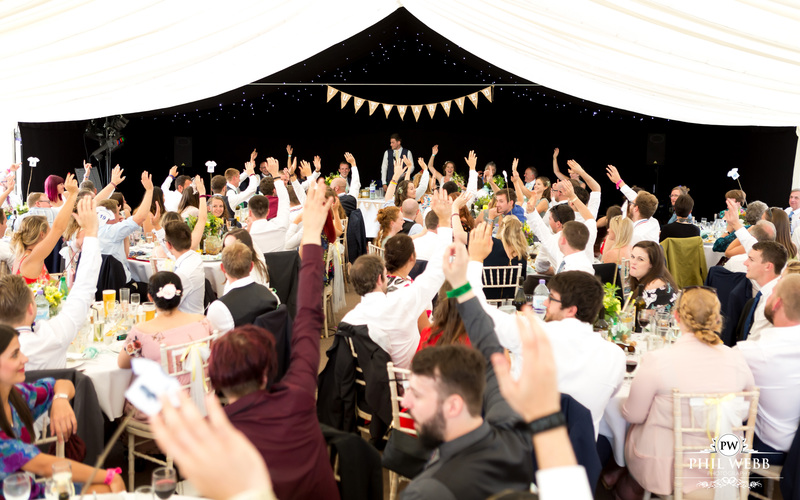 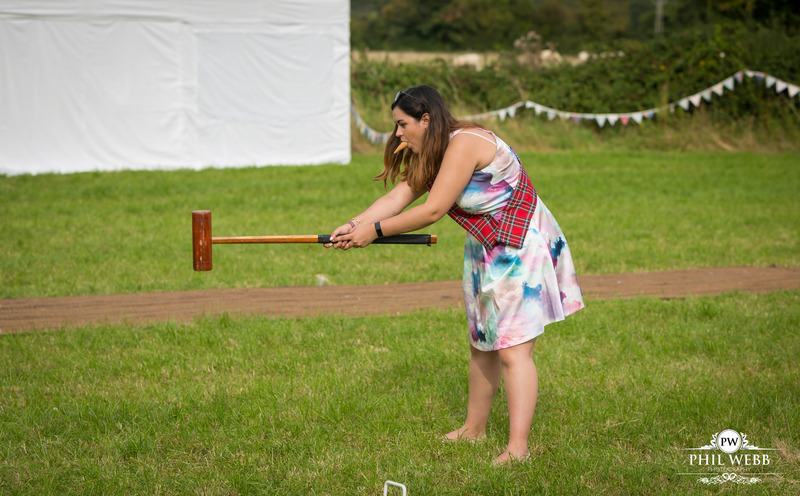 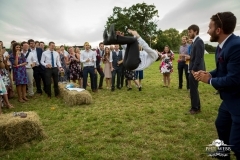 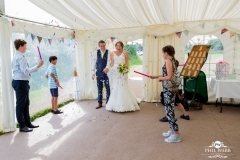 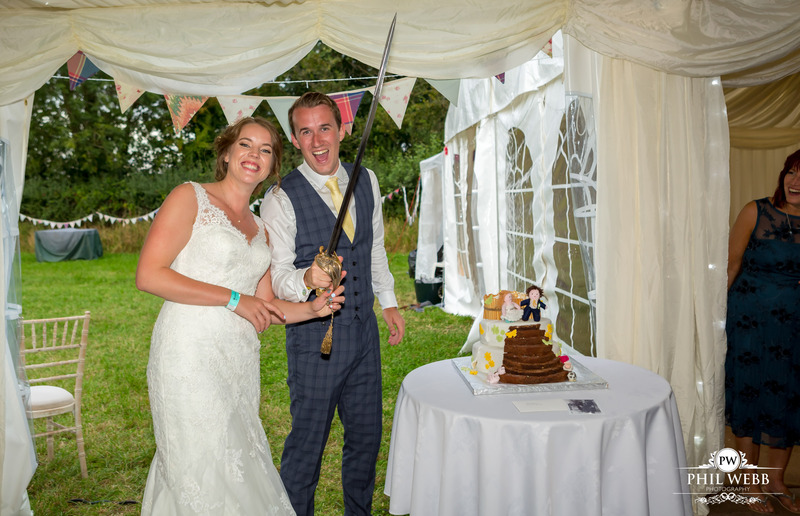 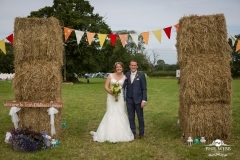 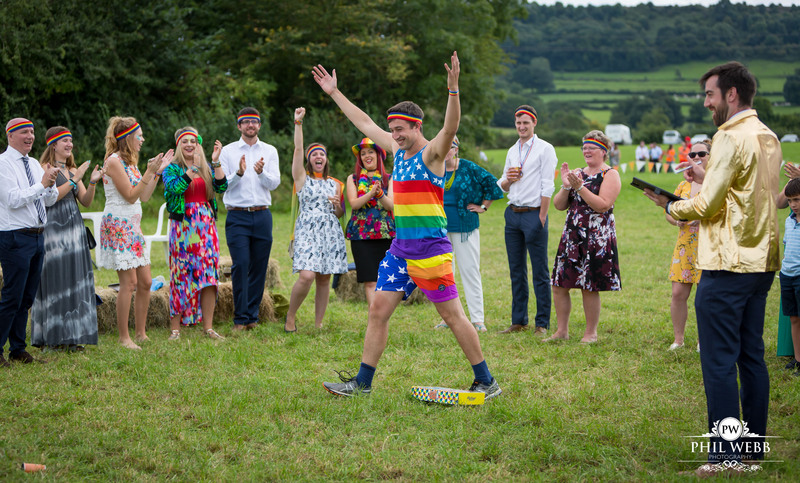 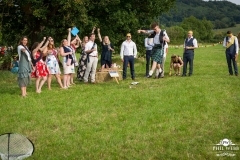 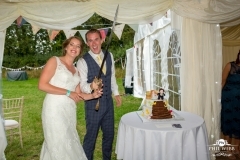 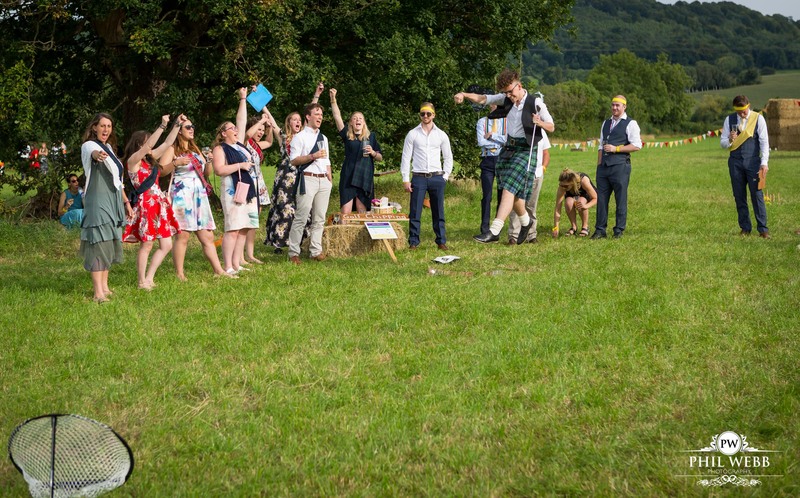 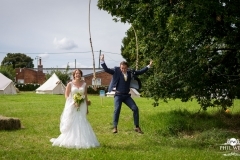 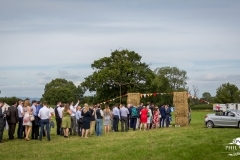 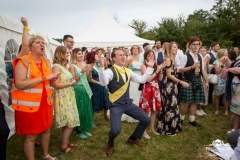 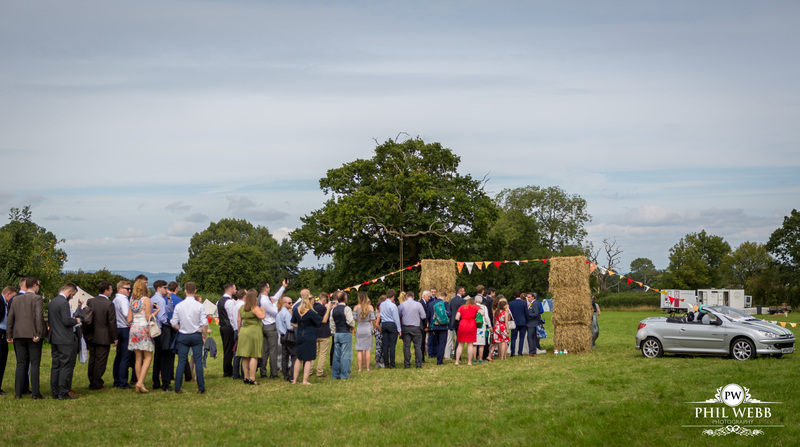 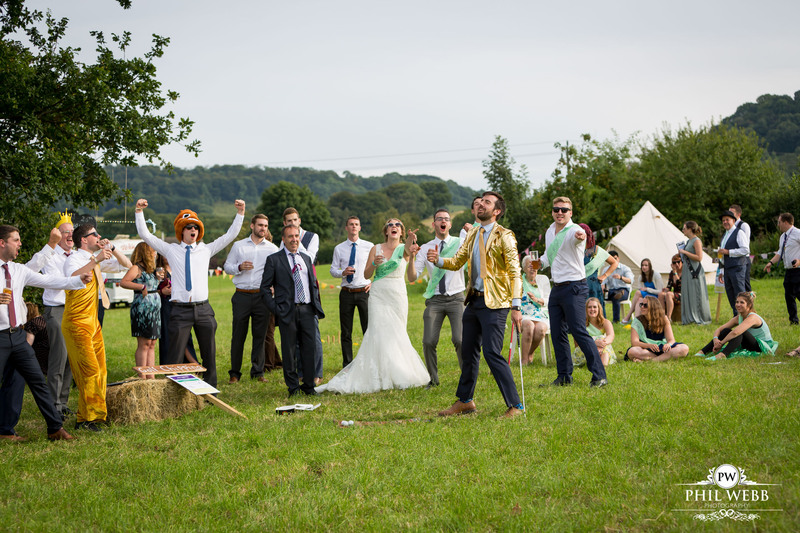 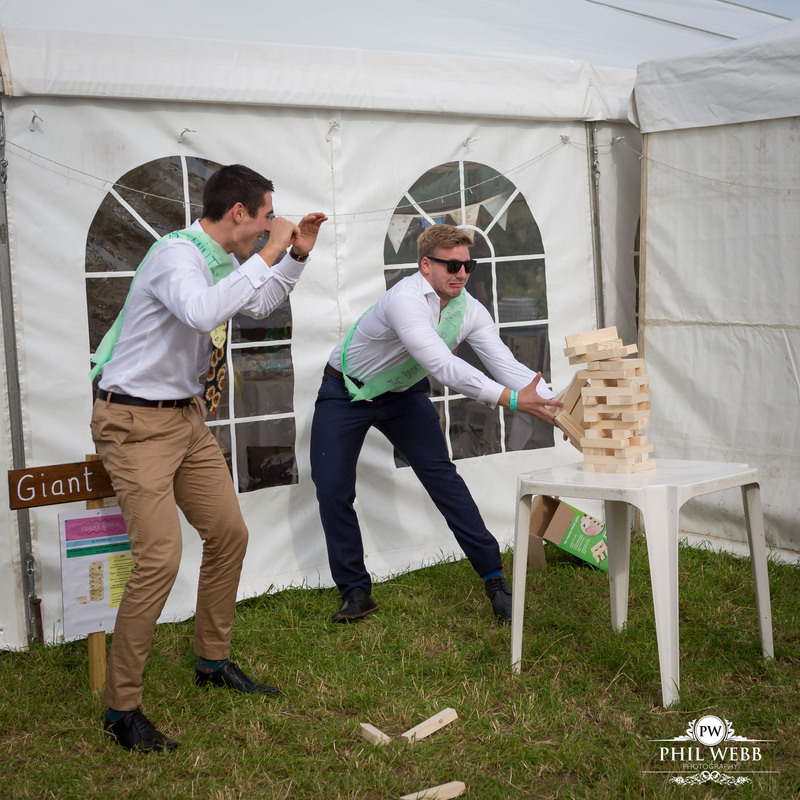 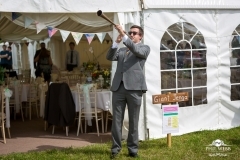 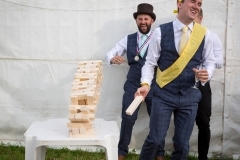 Wellie wanging, giant Jenga, and many other sporting games formed part of a veritable wedding olympiad. 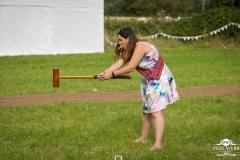 This ensured their wedding would be the talk of the village for some considerable time. 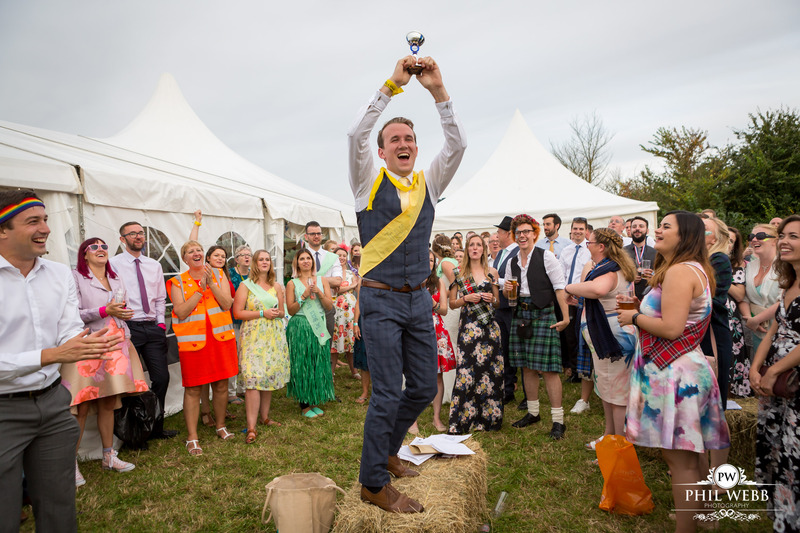 It was quite fitting that the team captained by Nathan’s won the overall event. 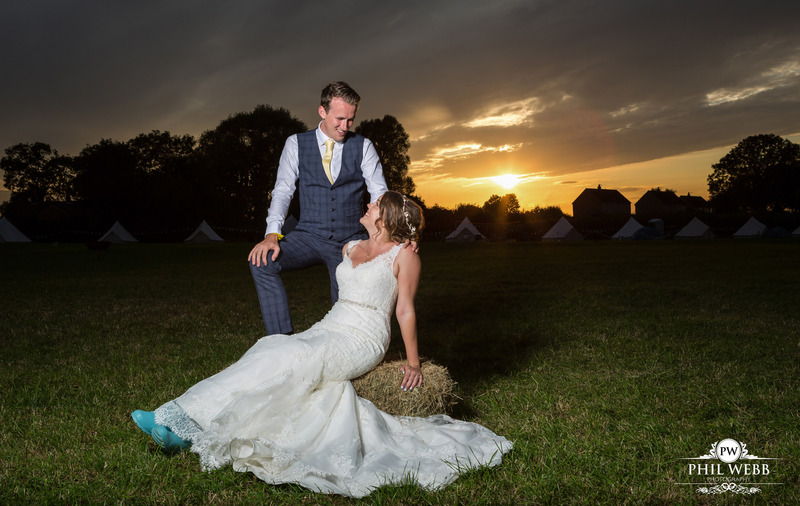 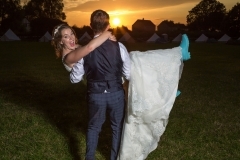 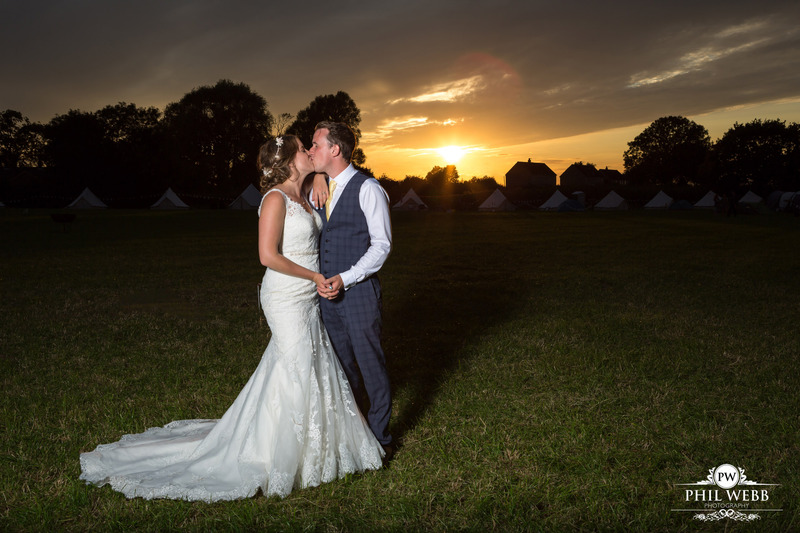 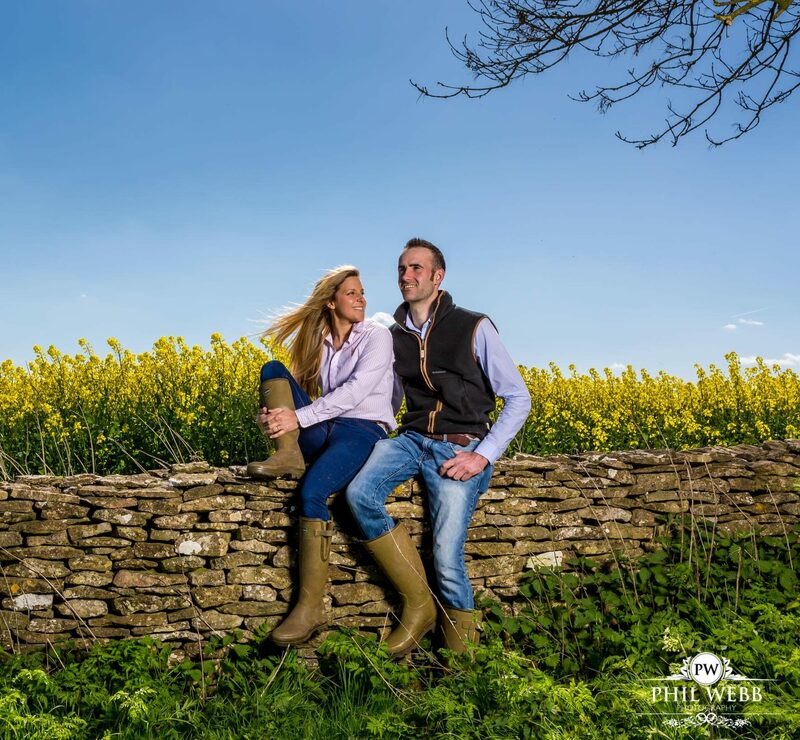 After the medals were awarded for the winning teams a beautiful cotswold sunset greeted us, it was great to capture the happy couple as the sun dipped below the horizon. 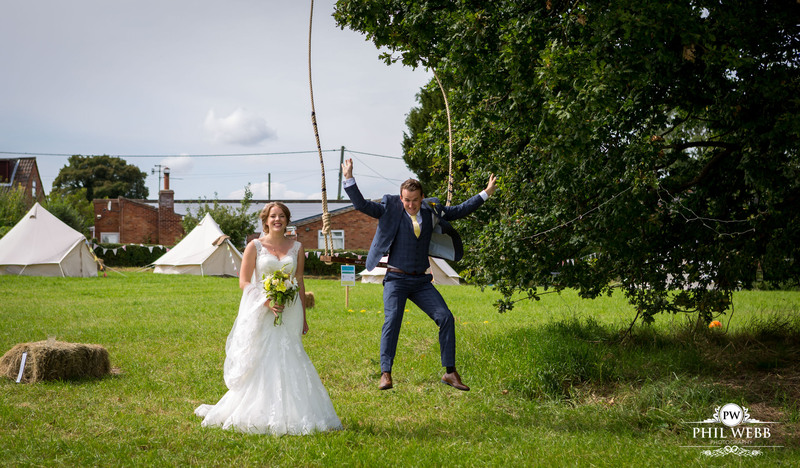 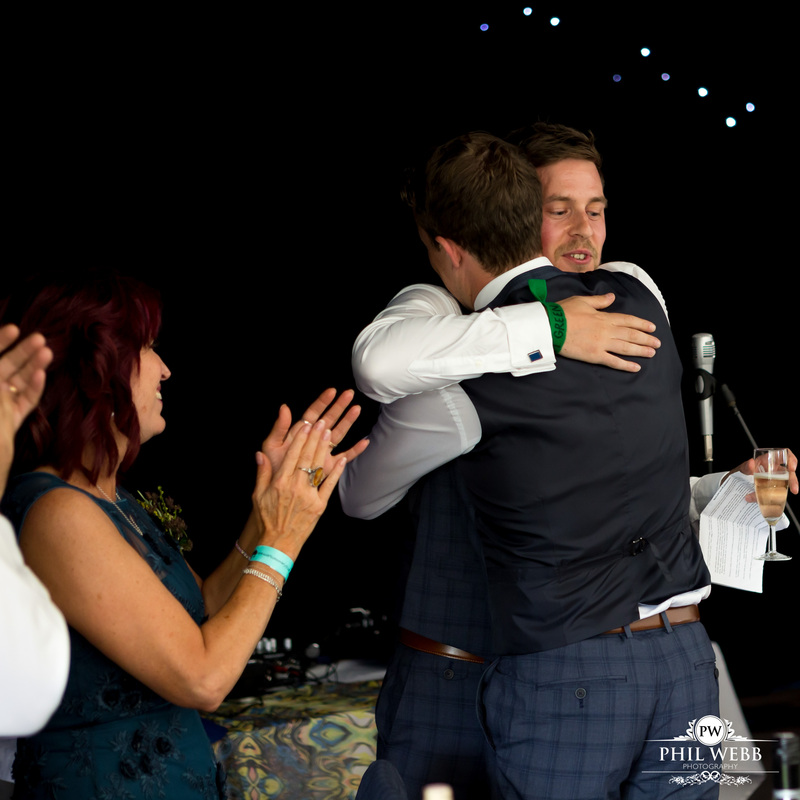 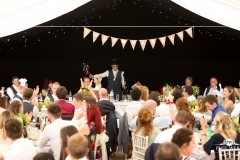 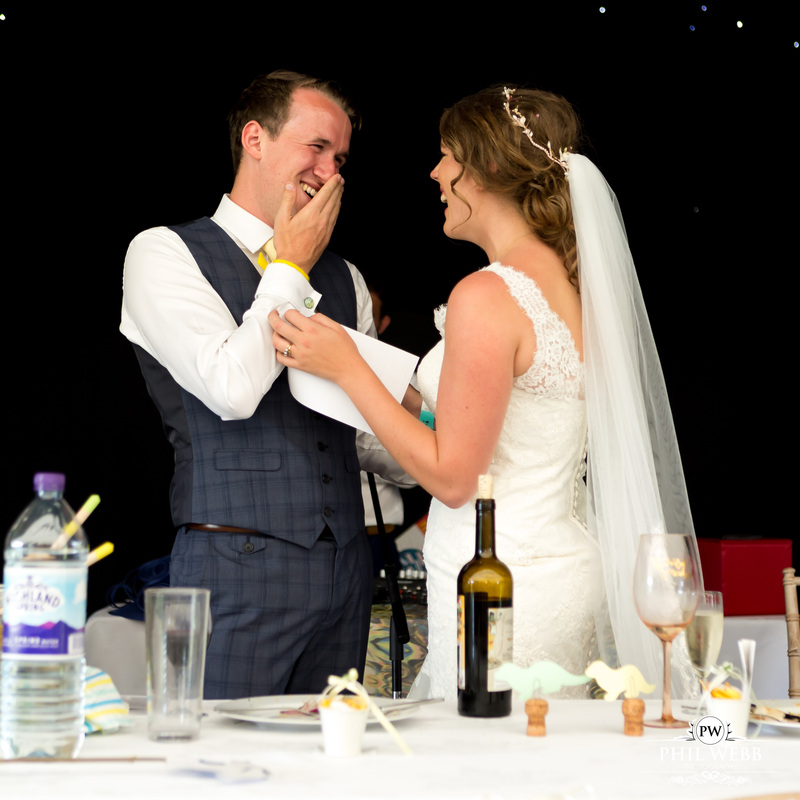 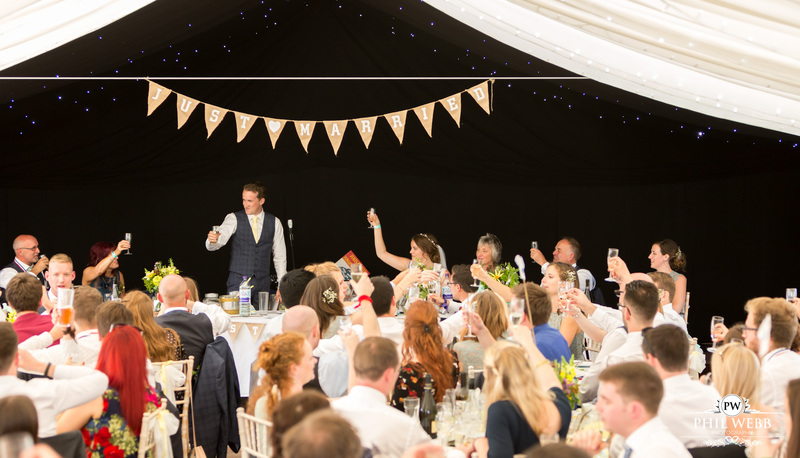 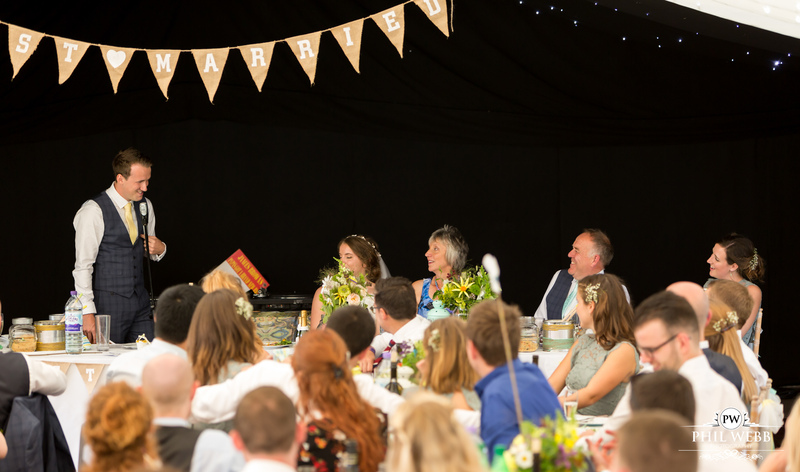 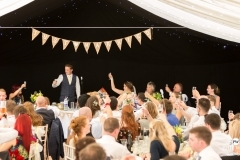 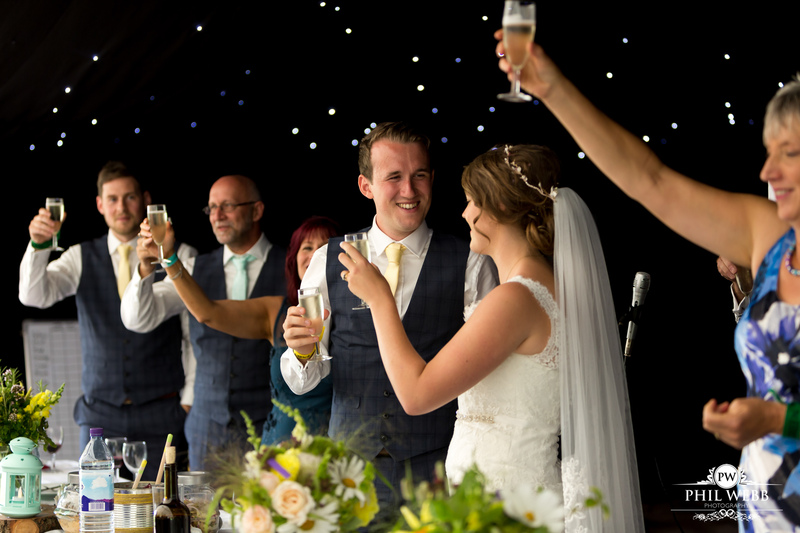 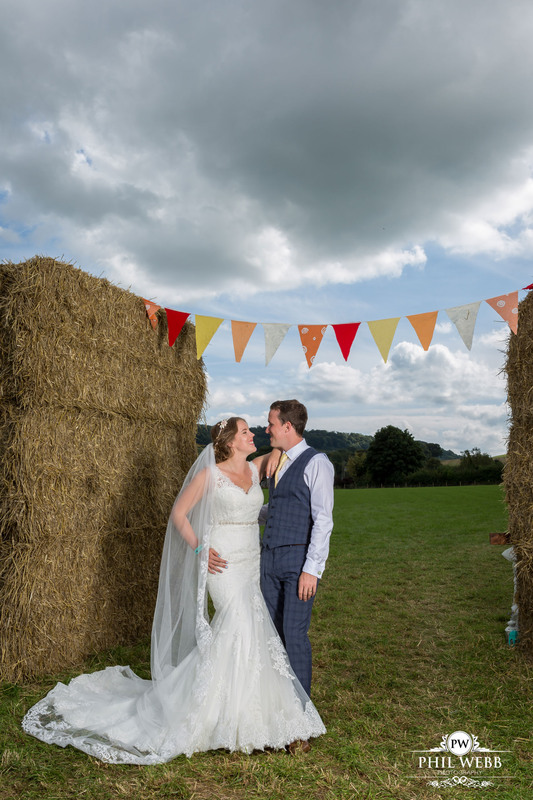 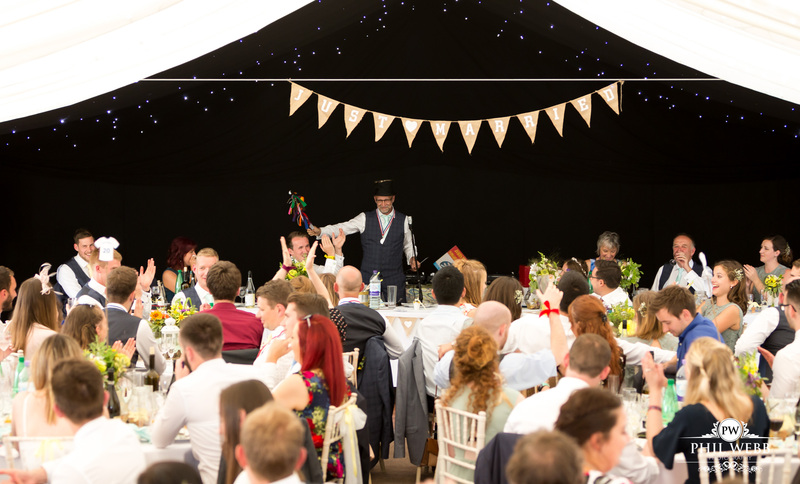 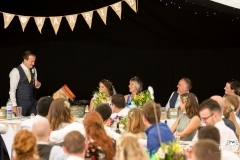 The guests’ dismantled their yurts the following day The happy couple then prepared to leave the the country for a post wedding break. 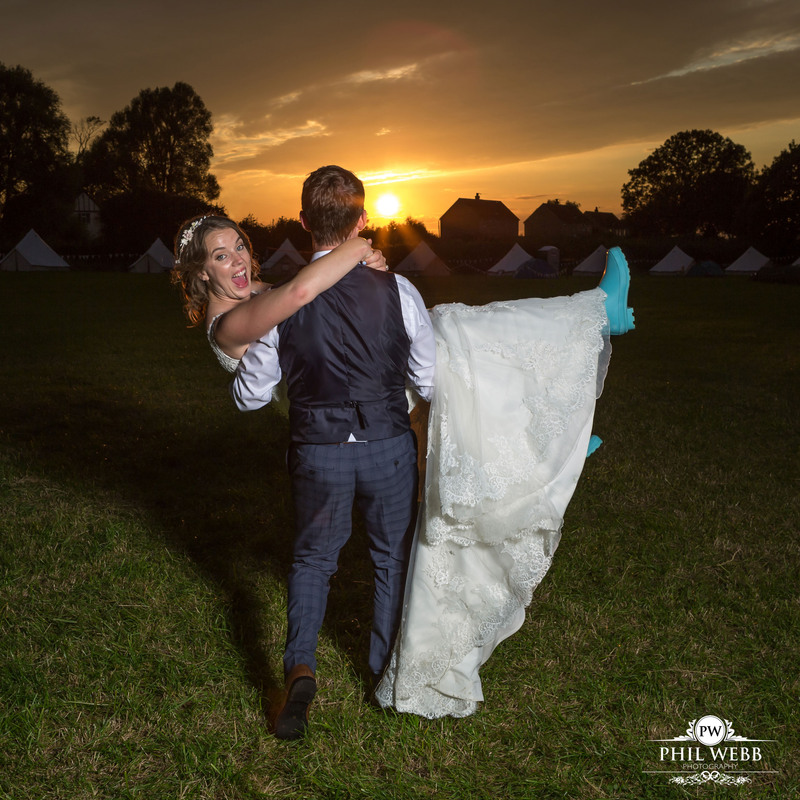 Some couples have a mini moon, some have a honey moon. 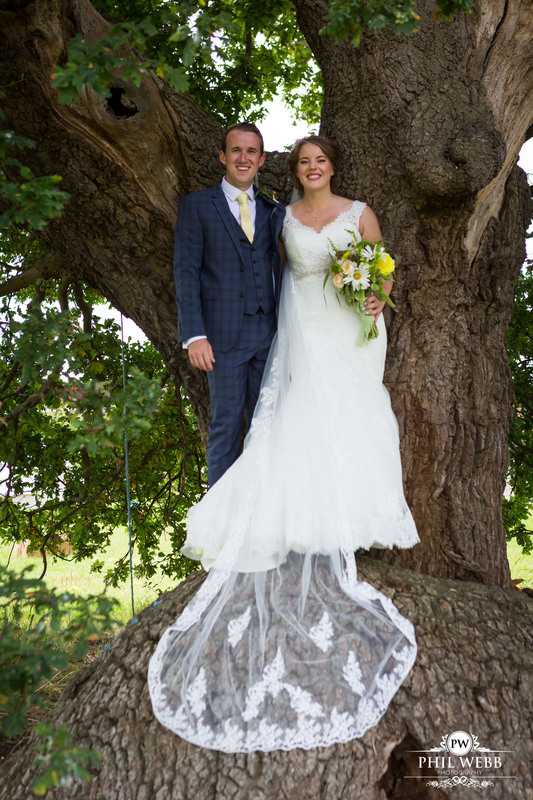 Natasha and Nathan chose a mega moon which sees them travelling the world for two years. 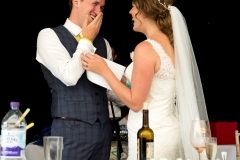 They viewed their wedding pictures 2 weeks after their wedding on the balcony of their hotel in the far East. 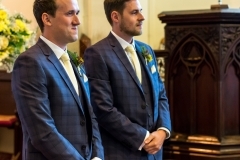 I wish them both a fantastic and memorable trip. 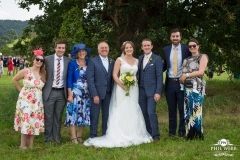 To view a picture in a larger format just click on the image.